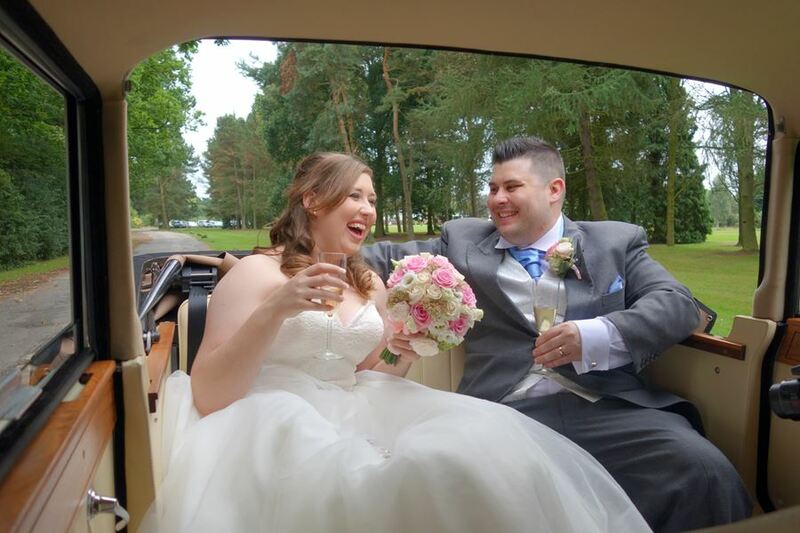 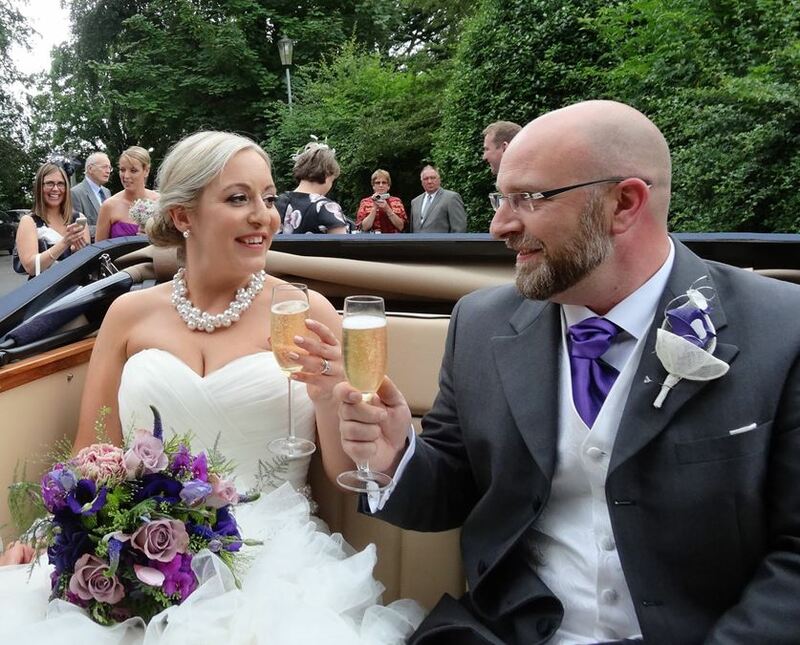 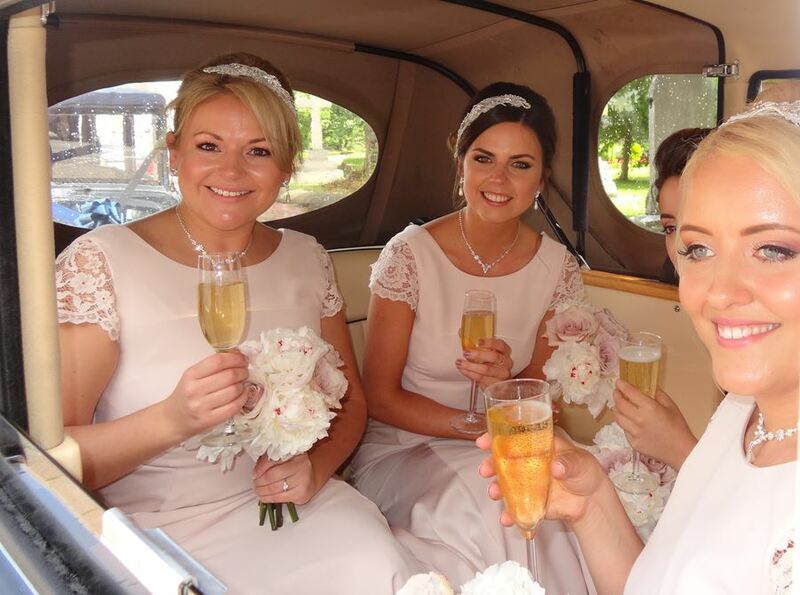 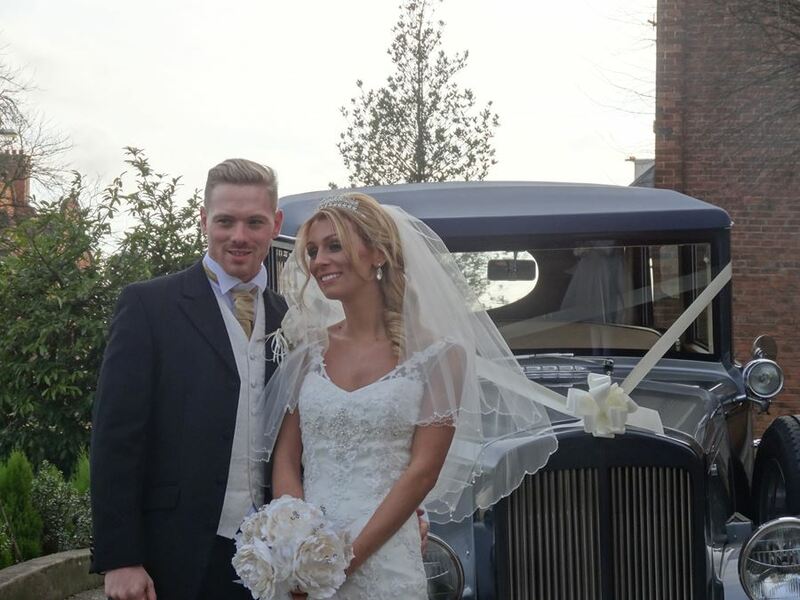 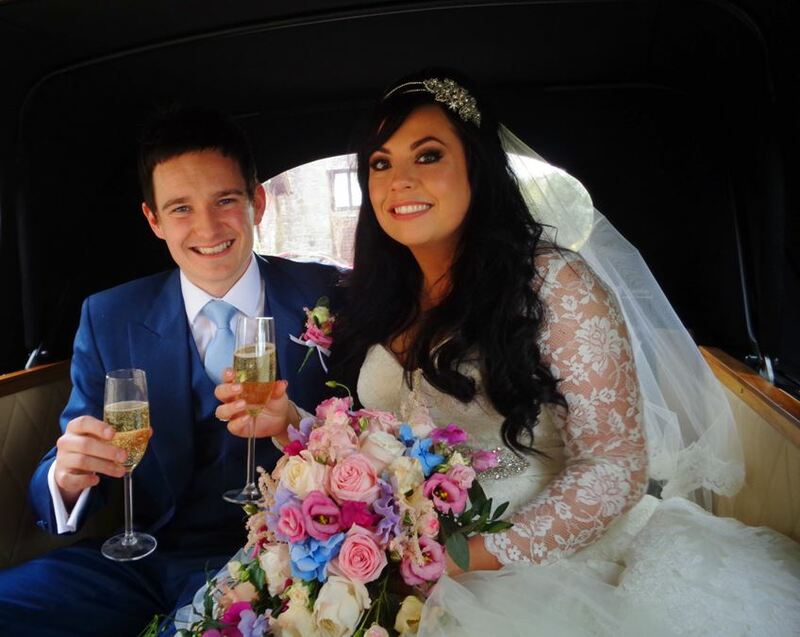 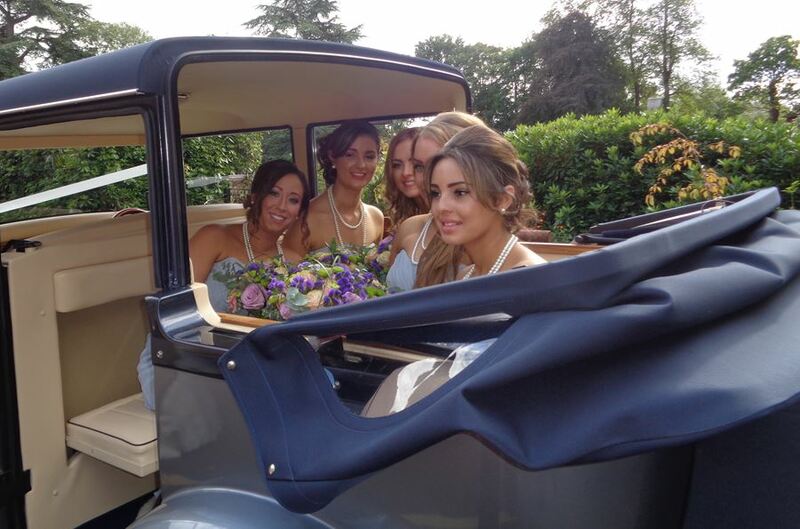 Travel to your wedding in style and comfort by hiring one of our four Regent Landaulets. 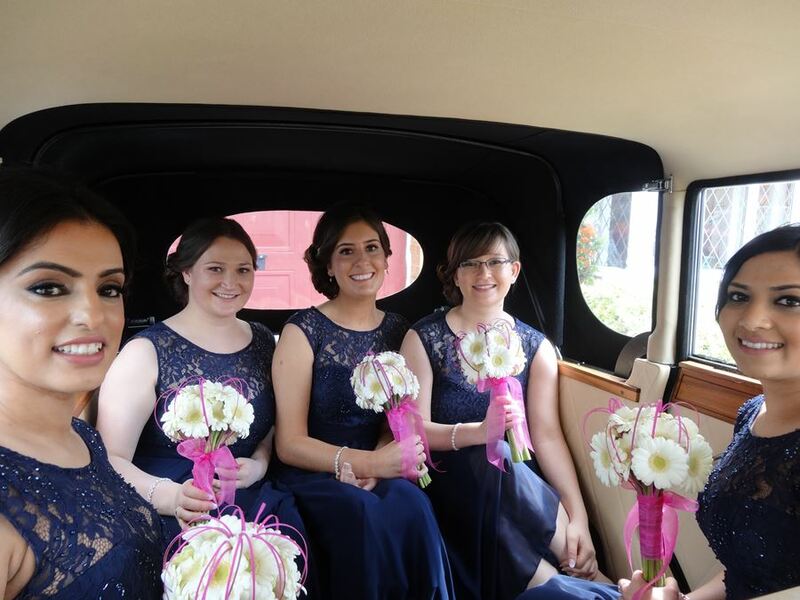 All four cars are part convertible and accommodate up to five passengers. 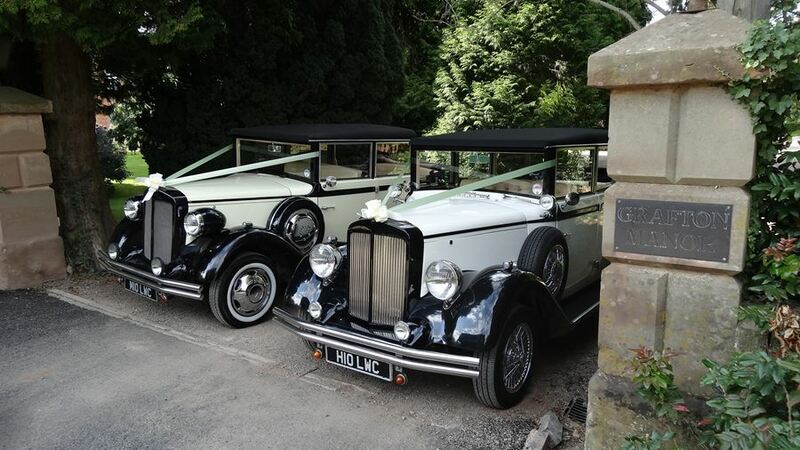 We’ve two black and ivory cars and two silver cars. 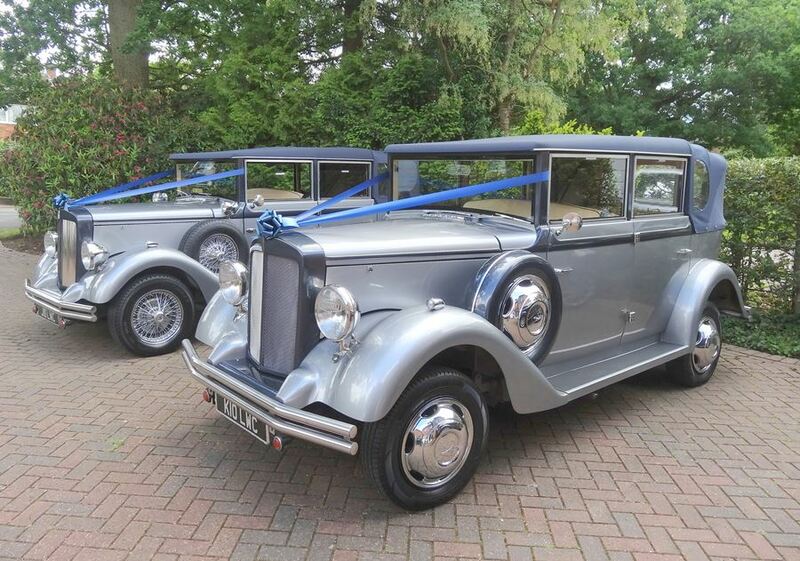 They’re all in fantastic condition and look stunning in photographs. 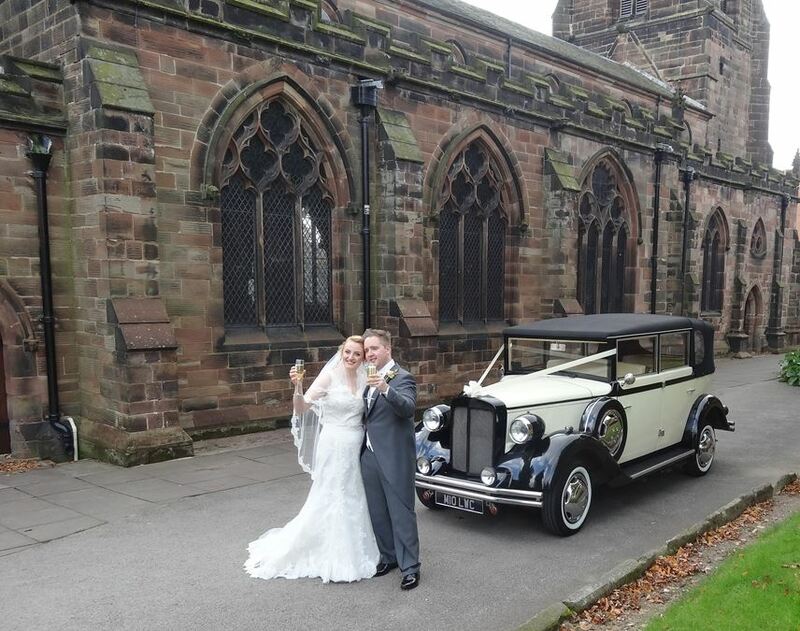 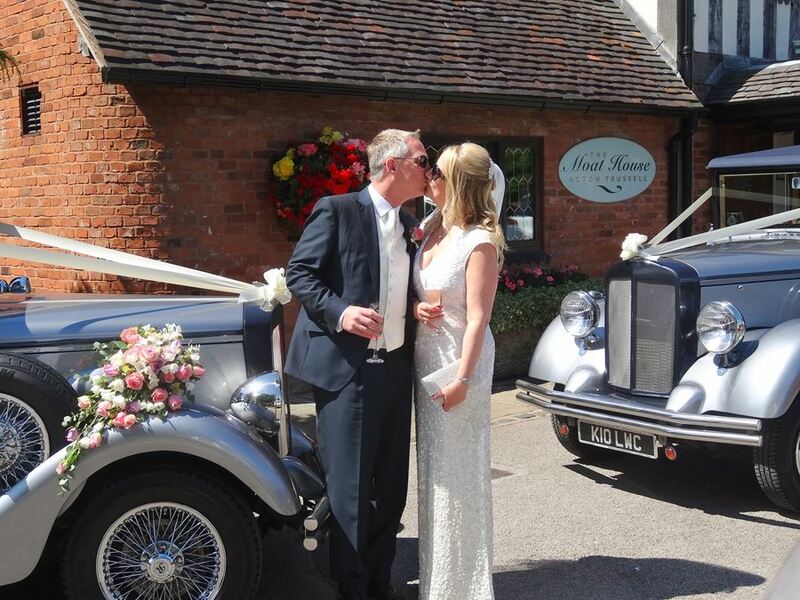 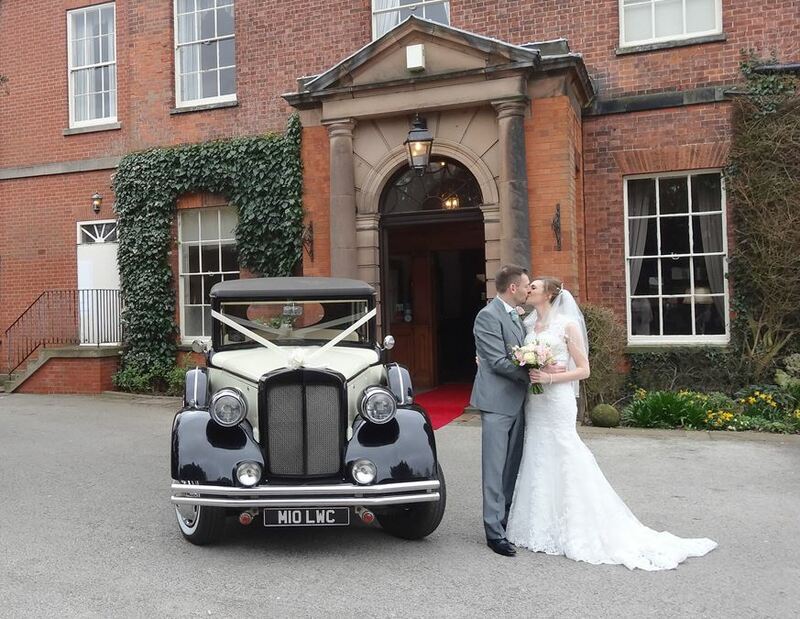 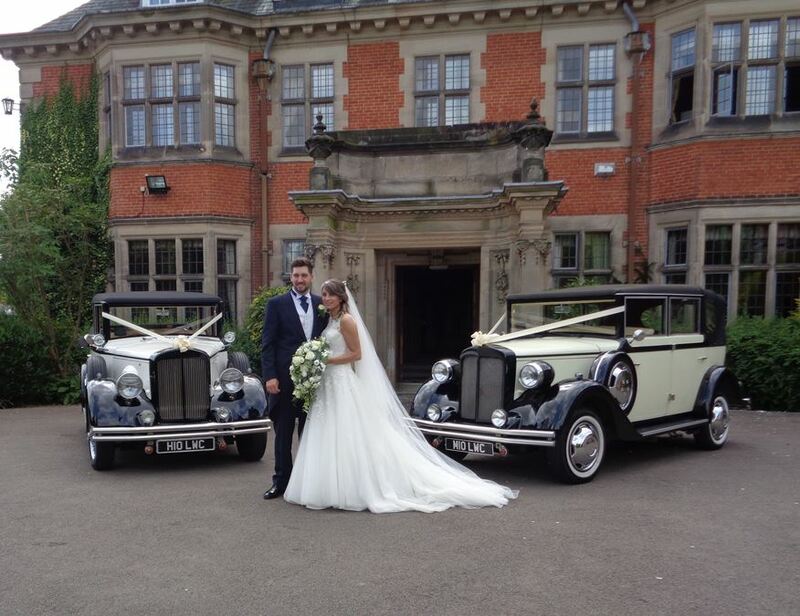 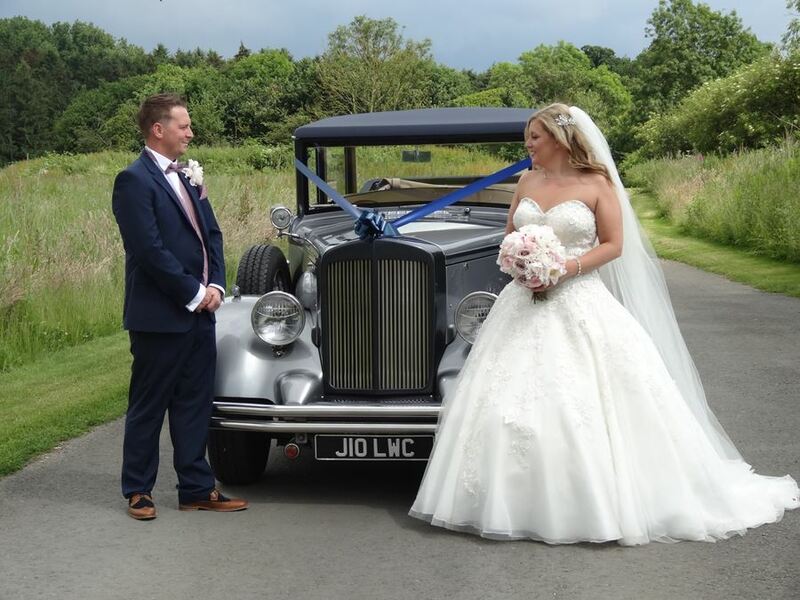 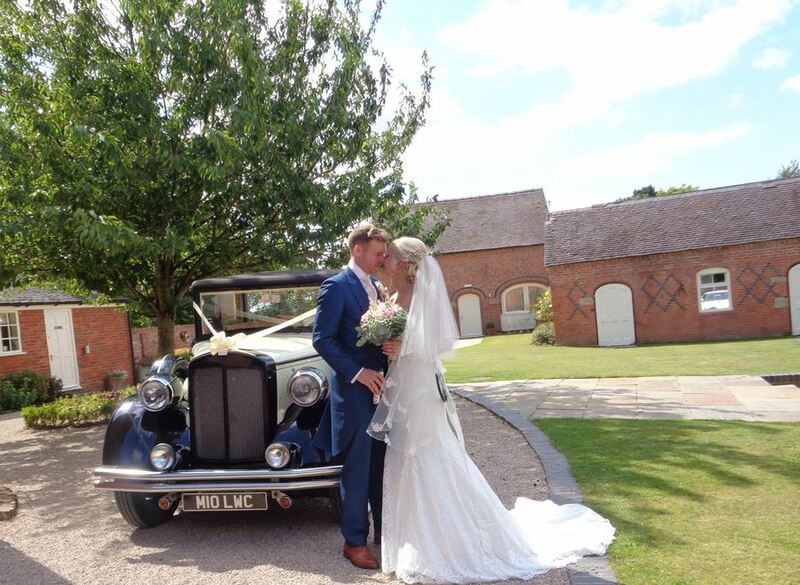 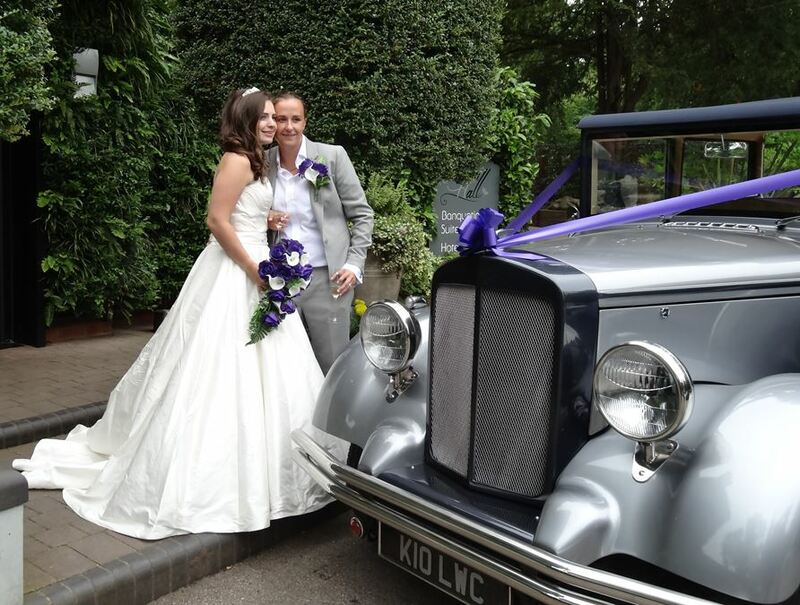 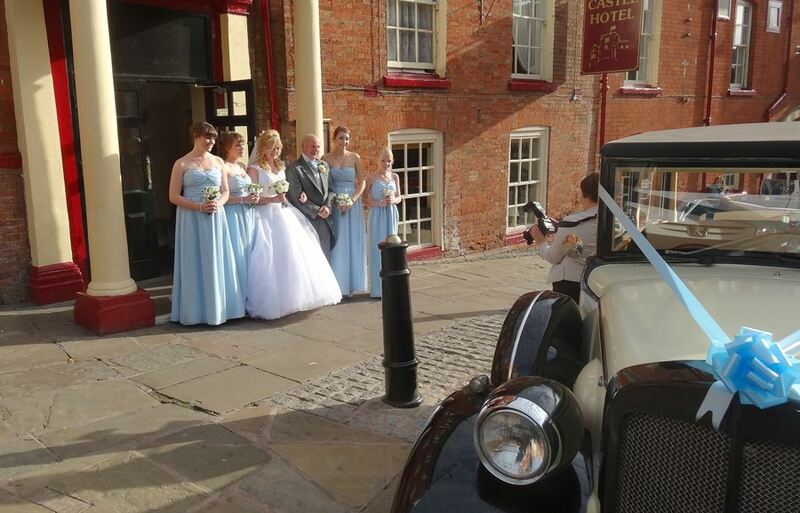 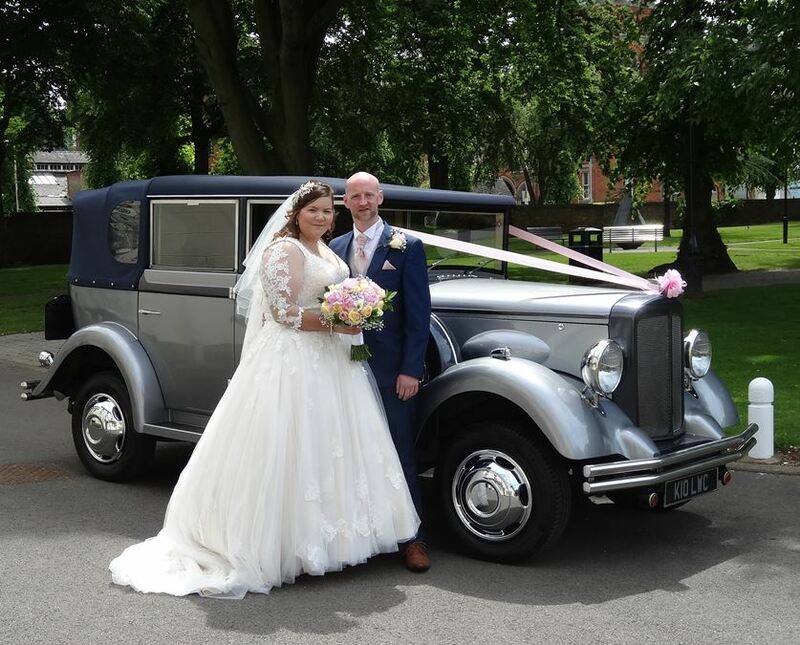 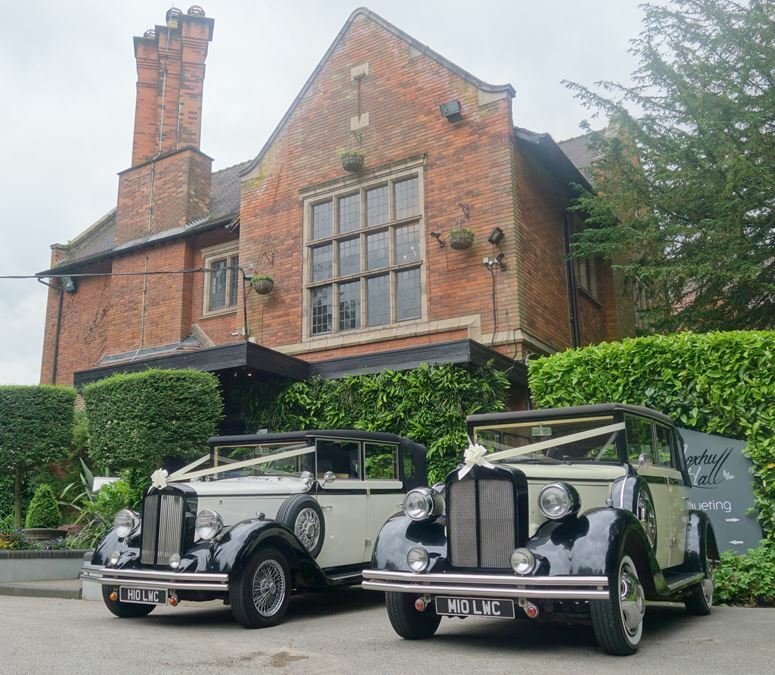 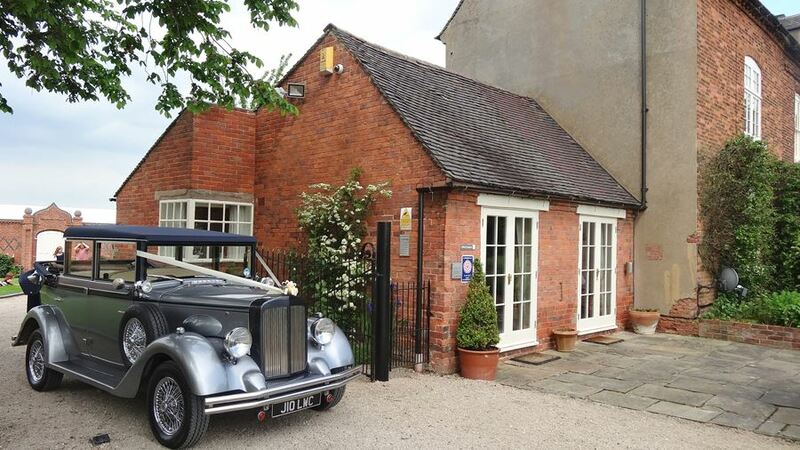 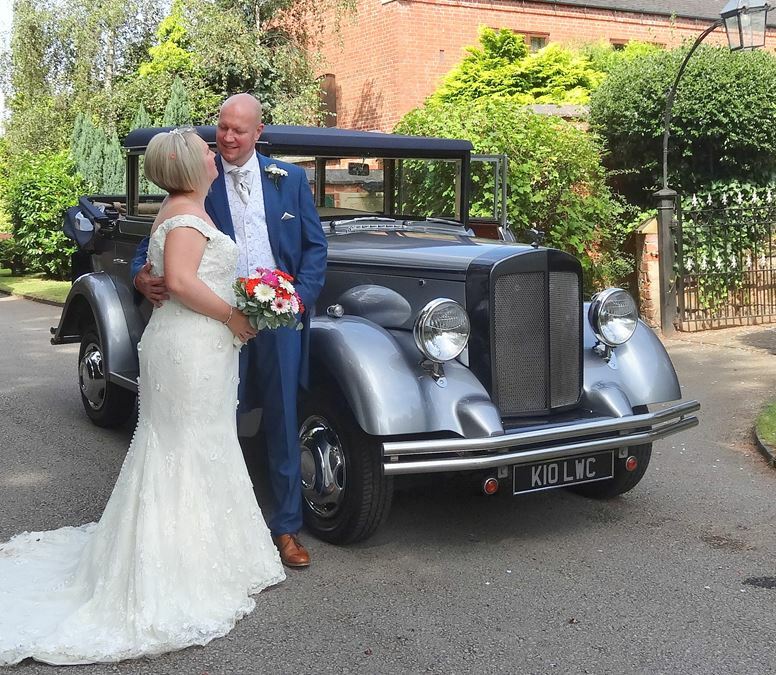 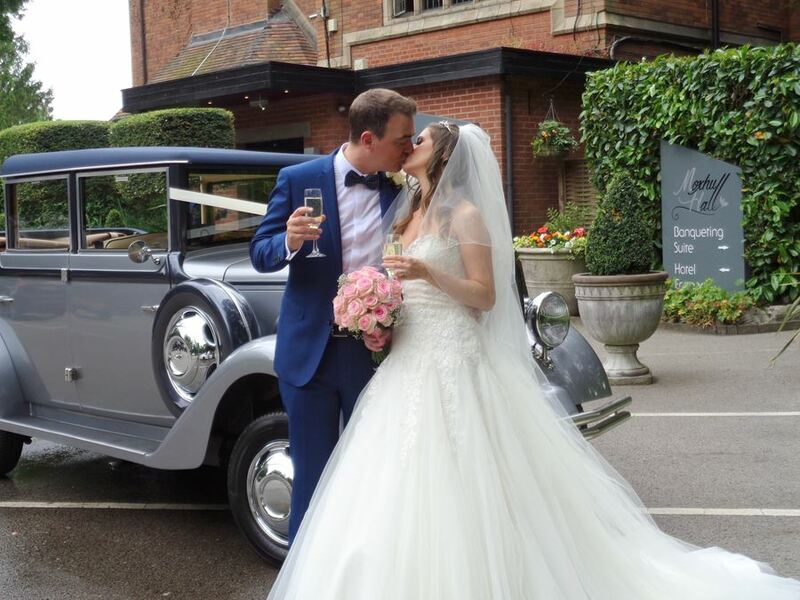 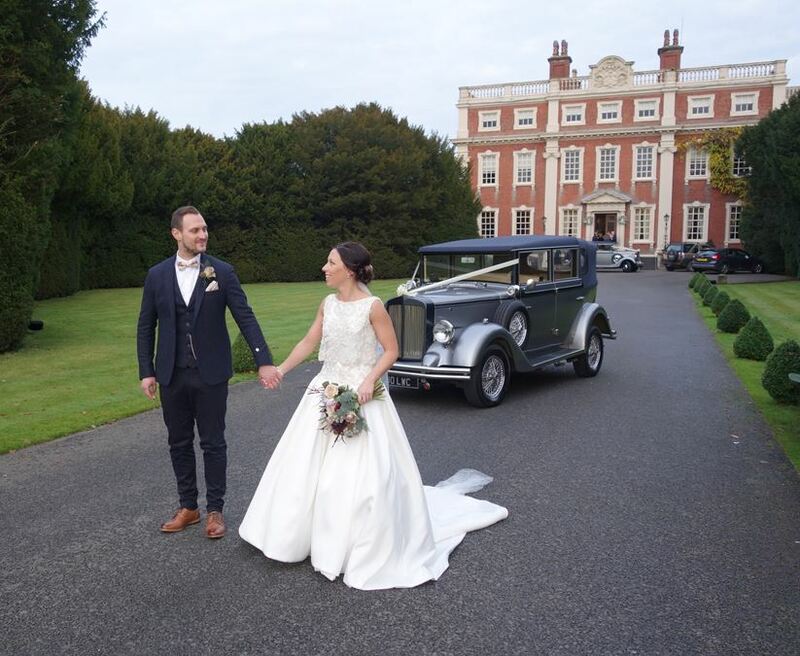 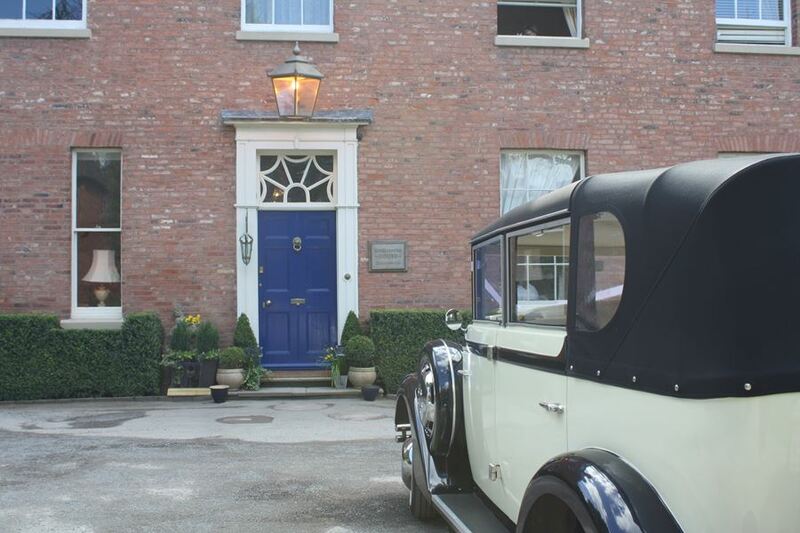 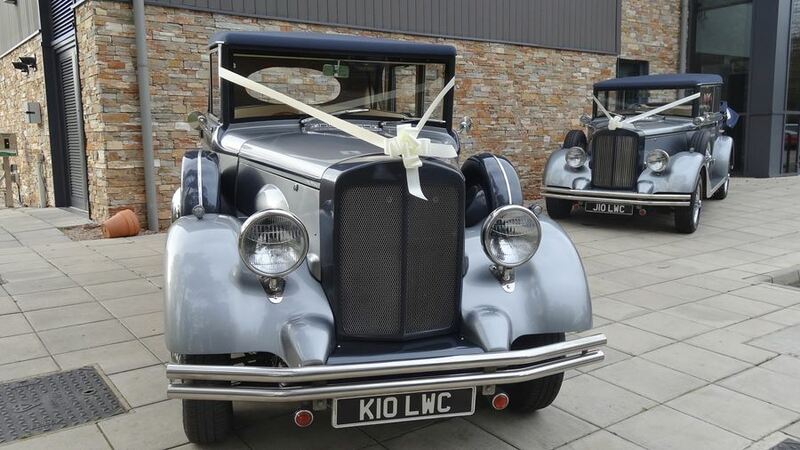 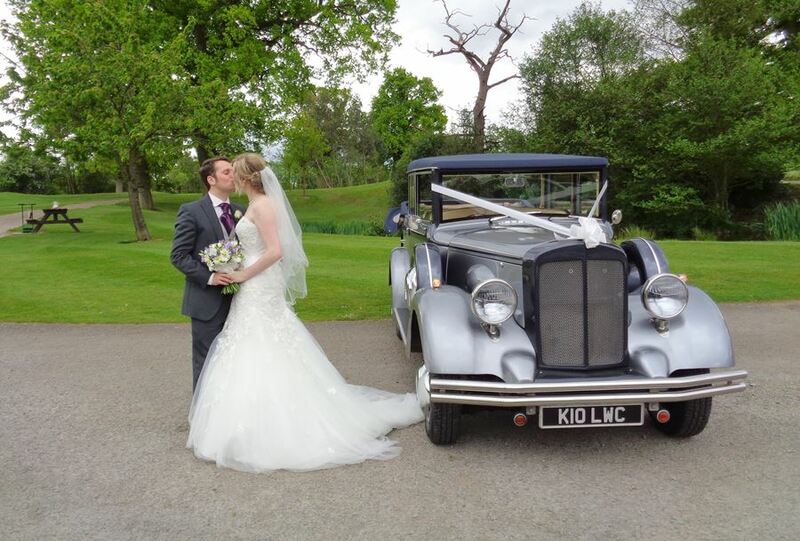 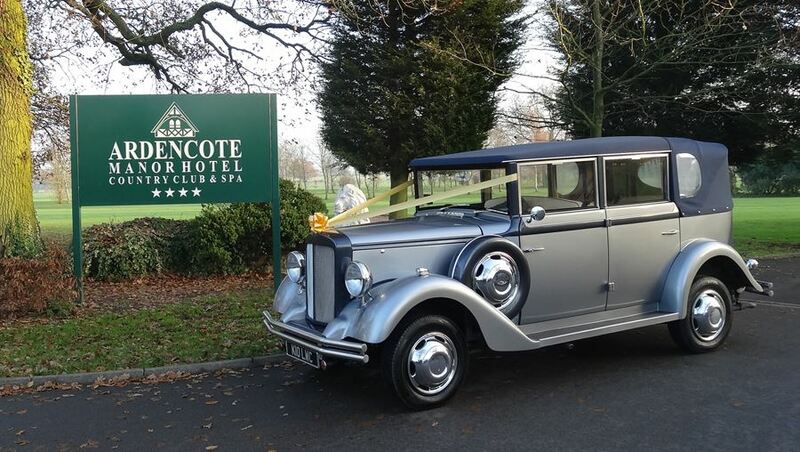 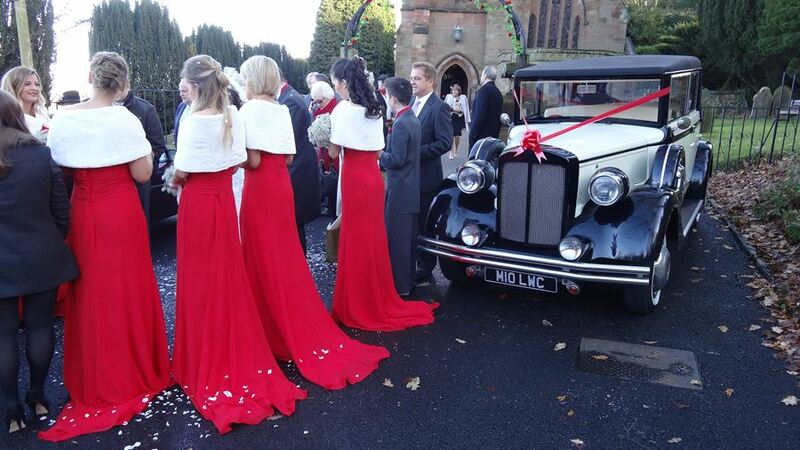 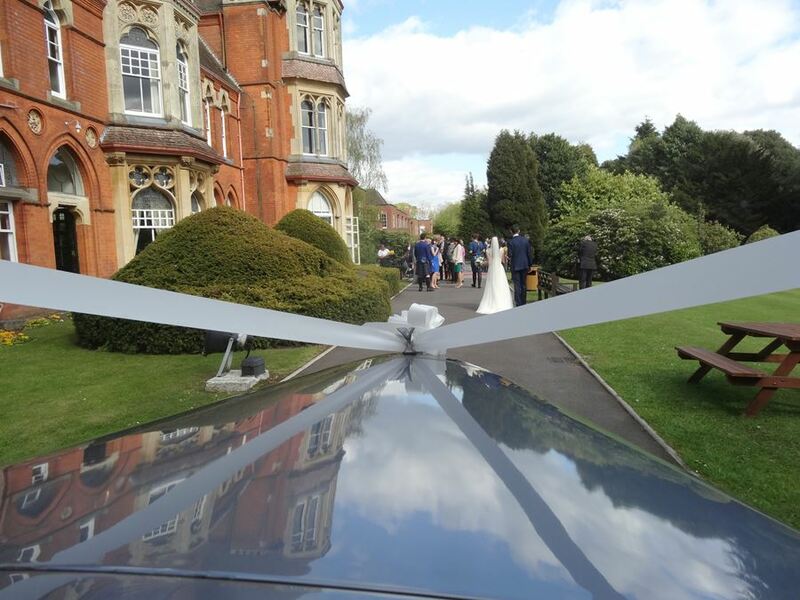 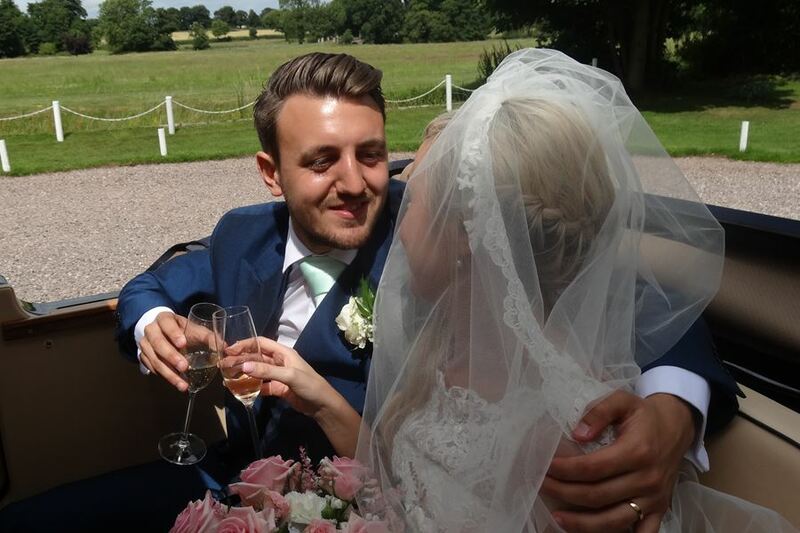 Make your wedding day complete by booking one, two or even all four of our wedding cars. 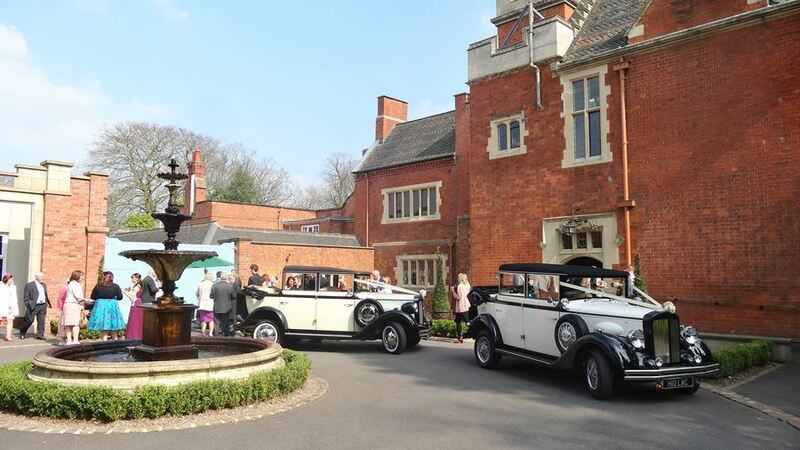 We hope to see you soon at one of the many wedding fayres that we attend. 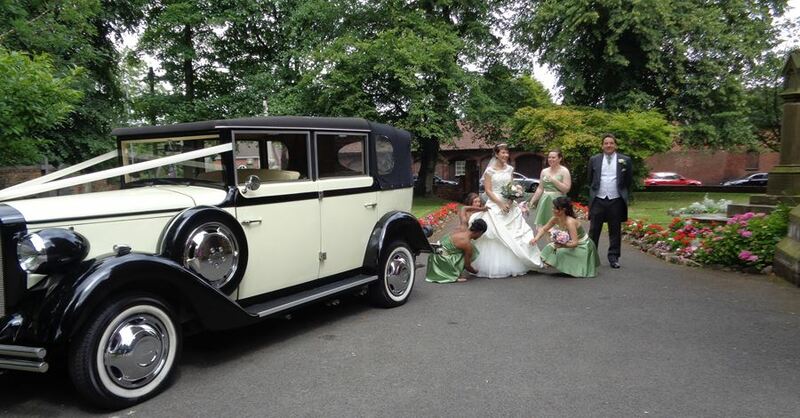 Alternatively, you can contact us to arrange a suitable time to view the cars at your leisure. 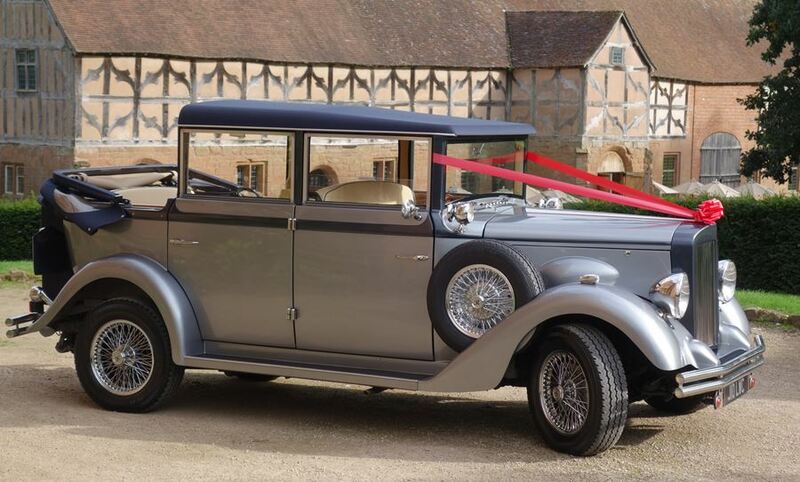 This car is our most popular. 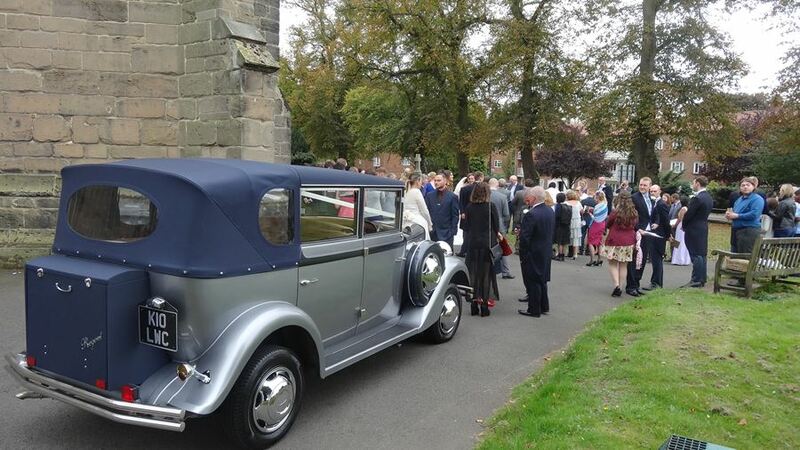 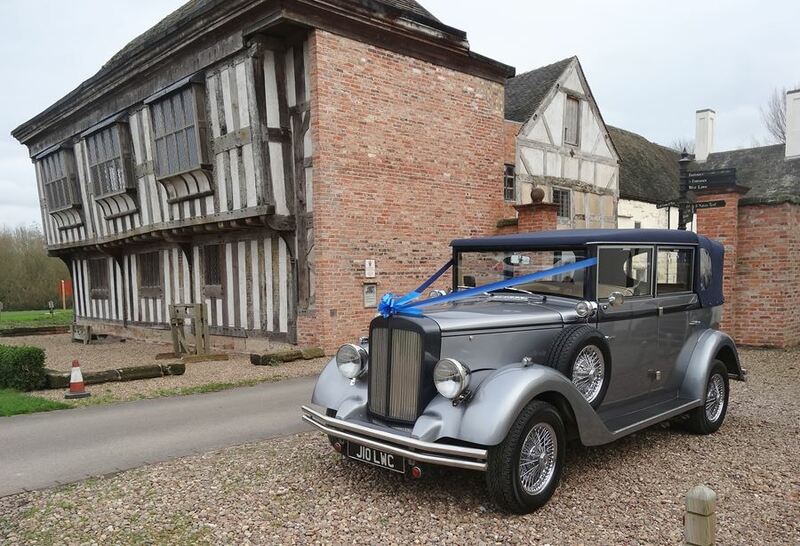 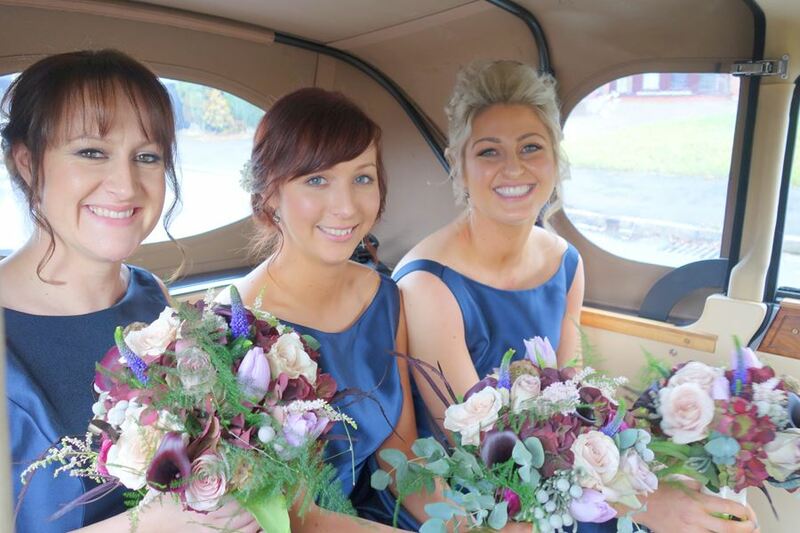 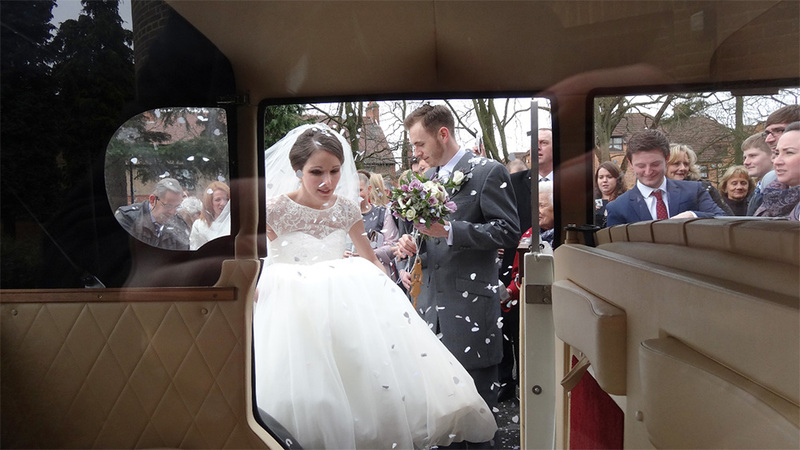 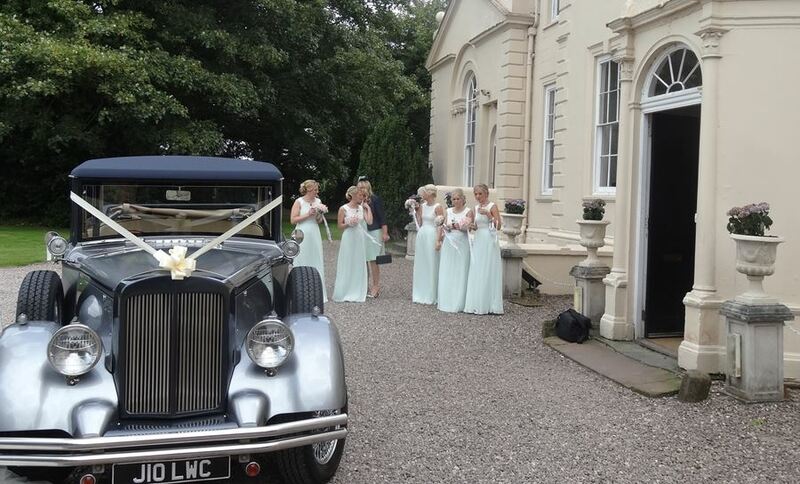 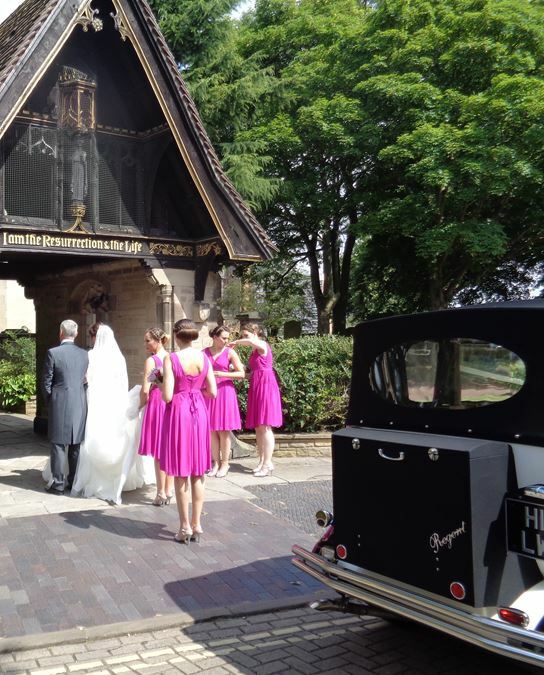 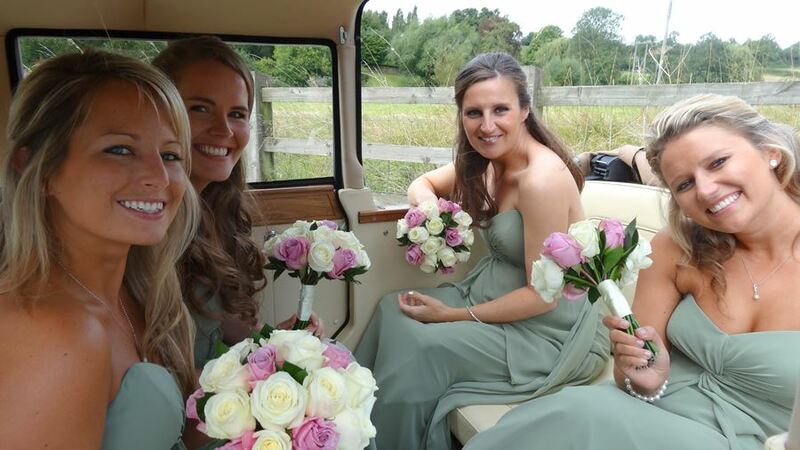 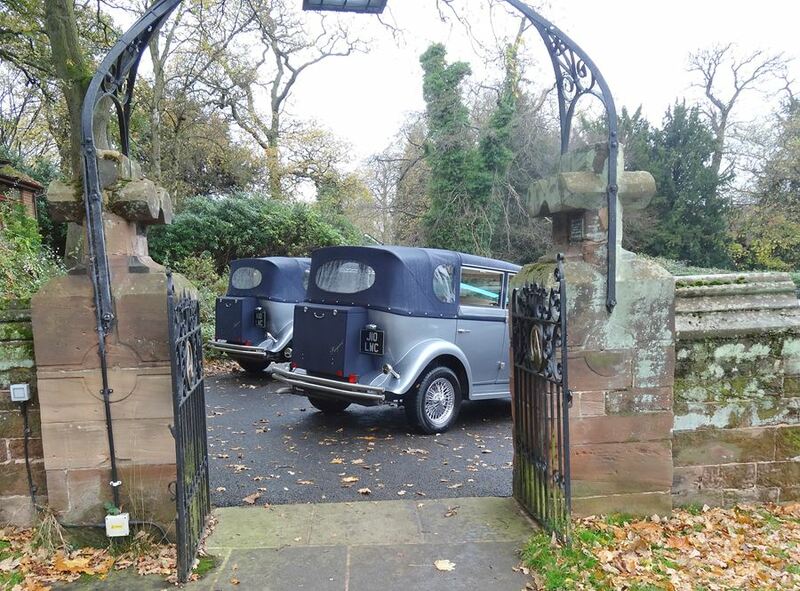 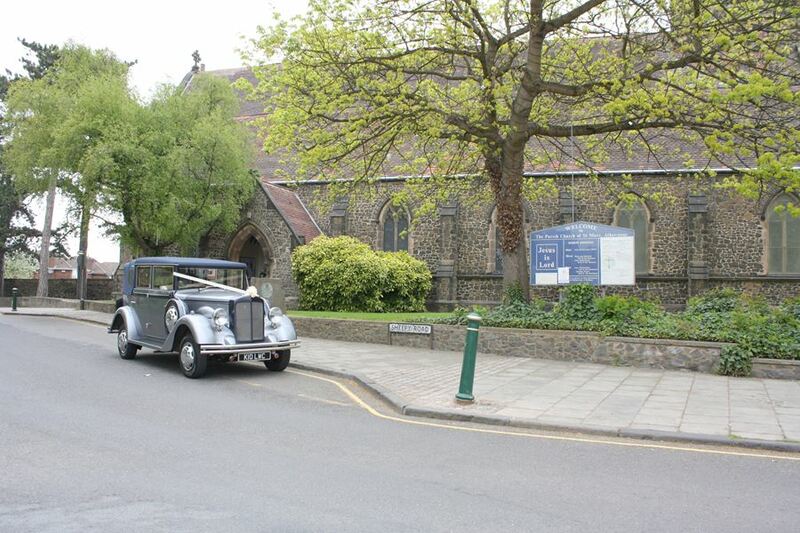 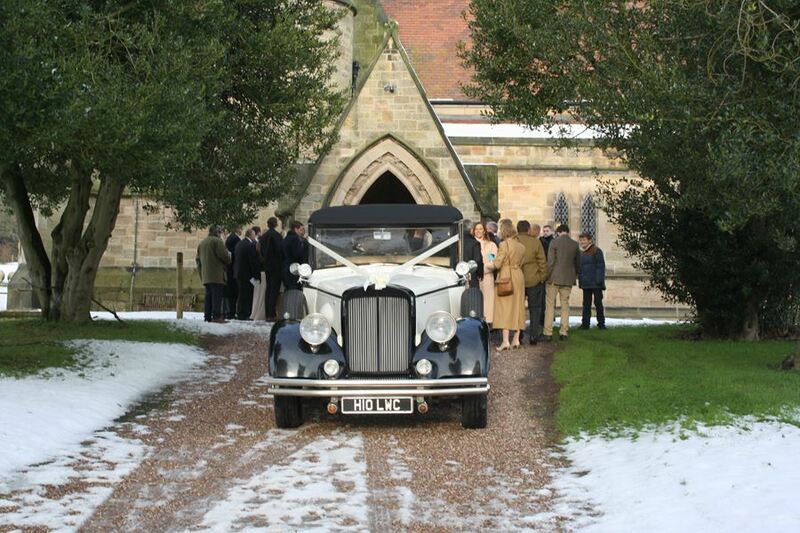 It’s the essential car for the truly vintage wedding, and it seats up to five passengers. 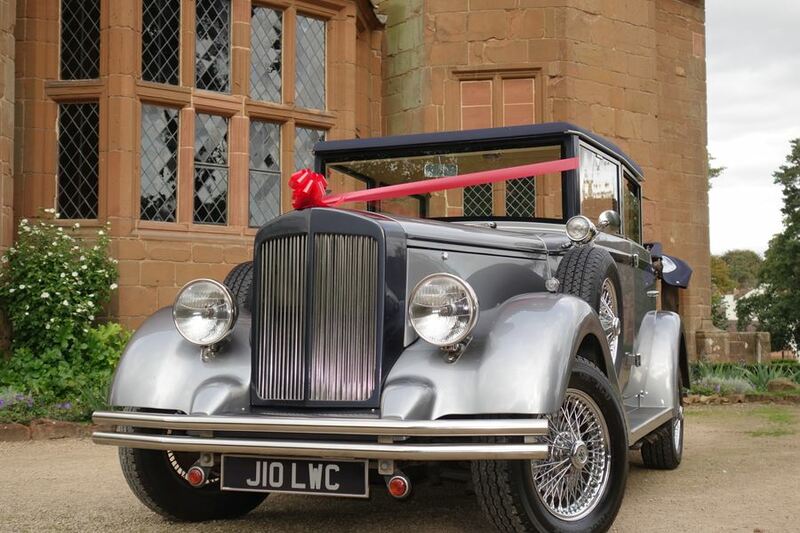 It’s finished to the highest of specifications, including carriage lamps & buttoned seats. 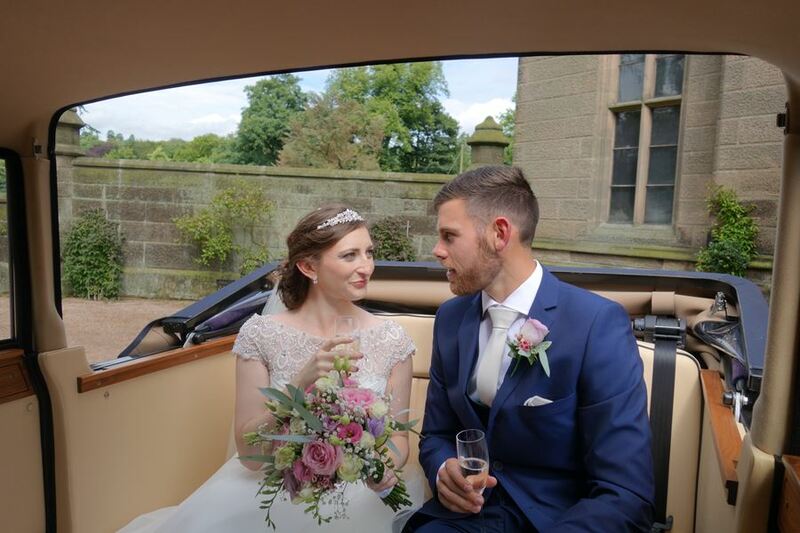 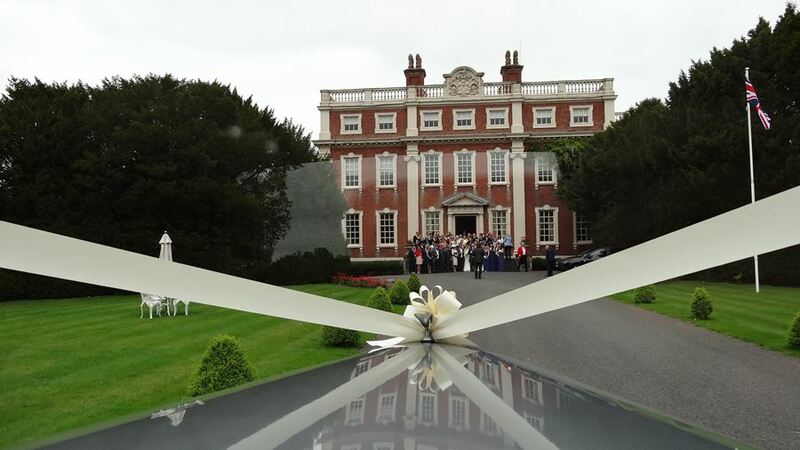 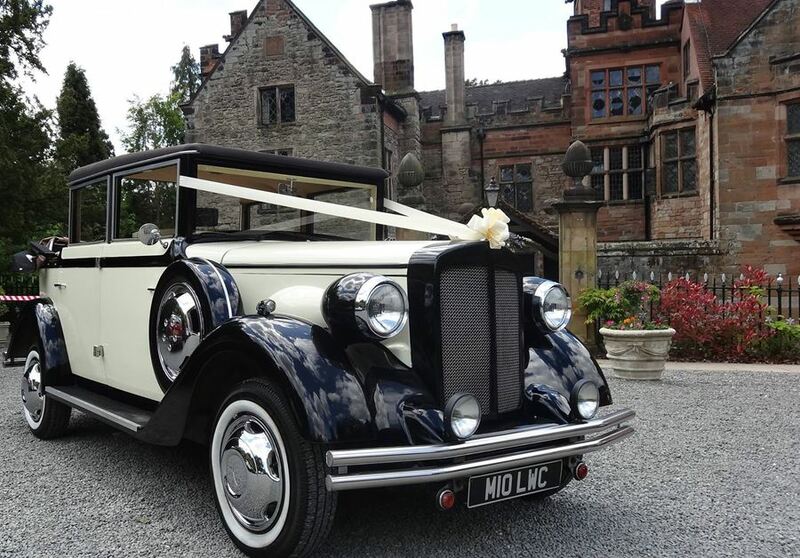 The partially convertible roof with sumptuous interior make a stunning backdrop for wedding photographs. 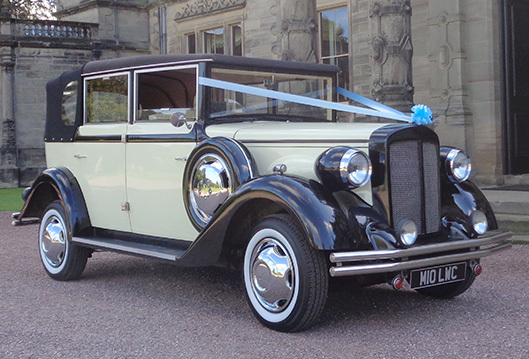 This car is the absolute ultimate when it comes to the 1920’s vintage look. 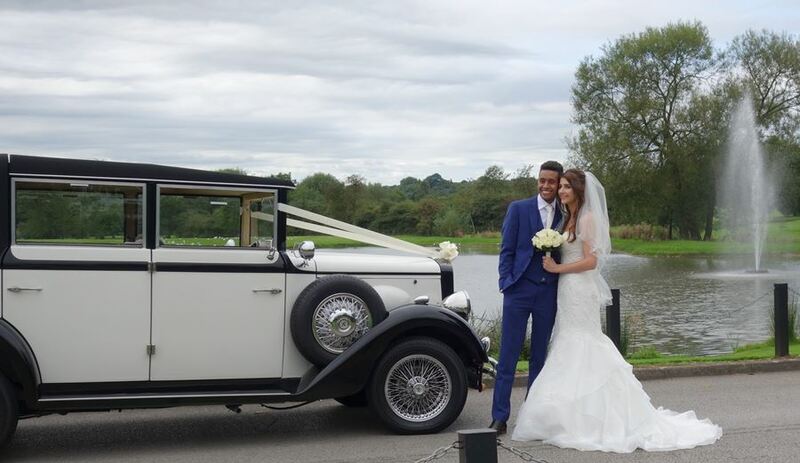 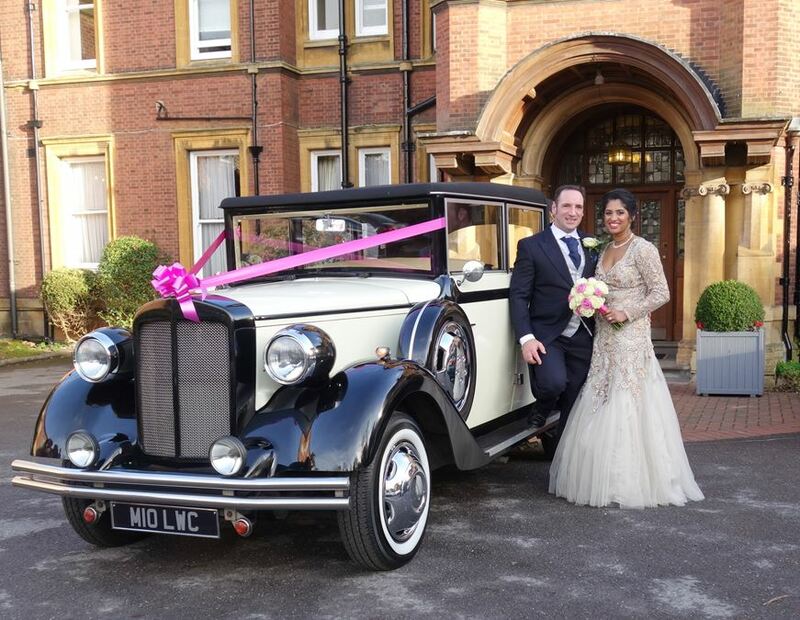 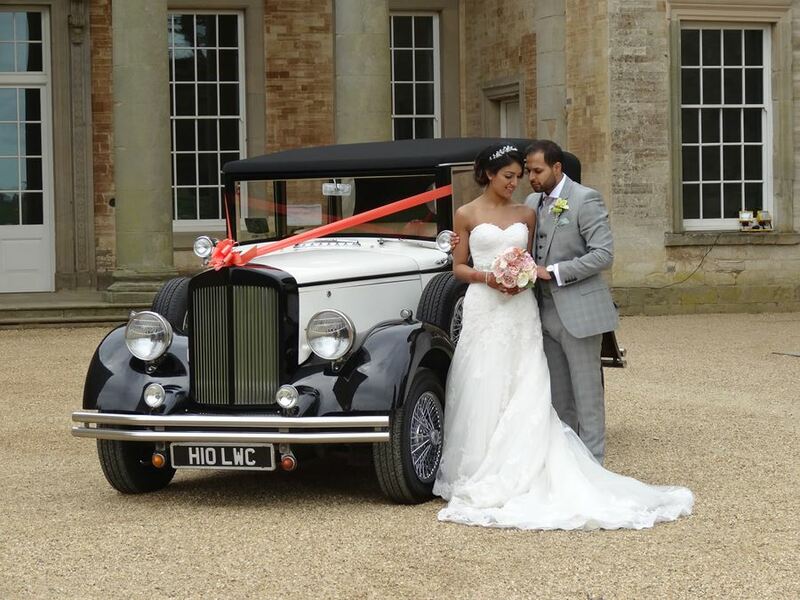 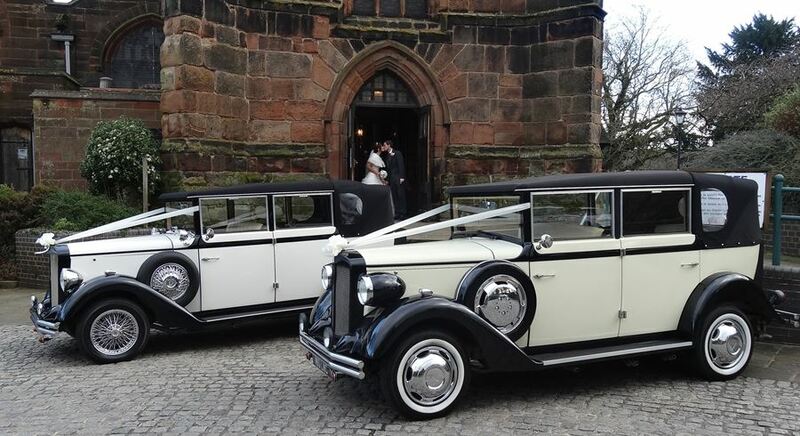 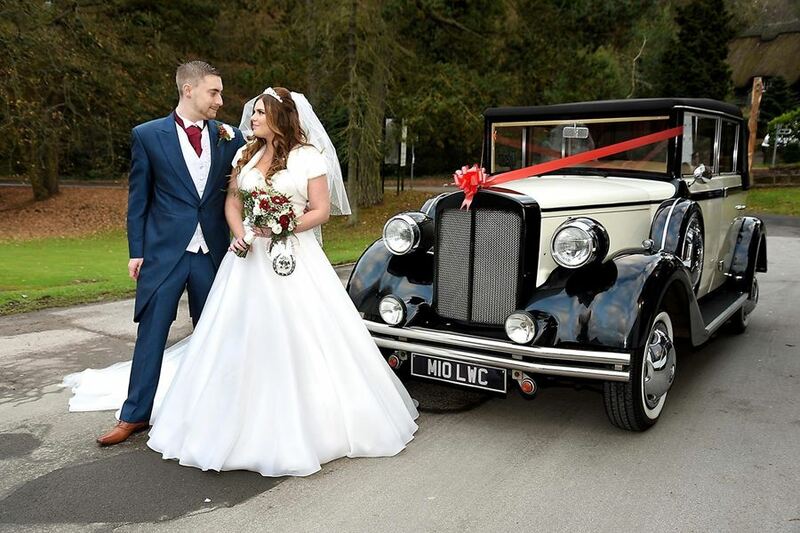 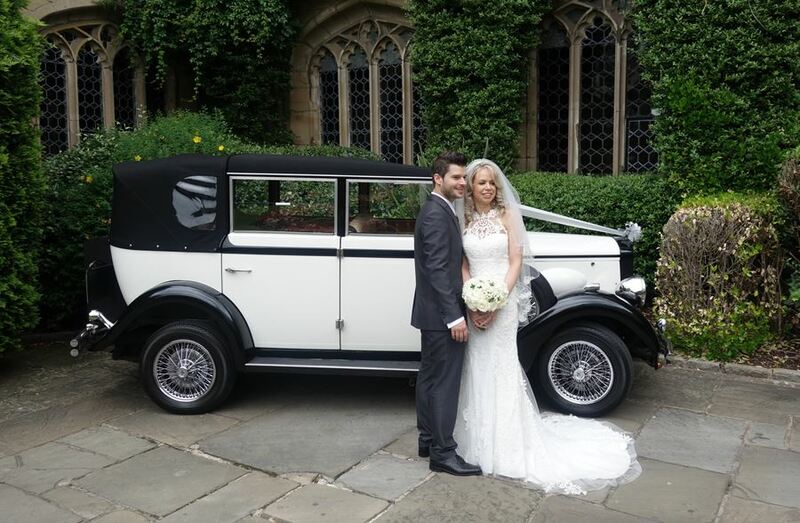 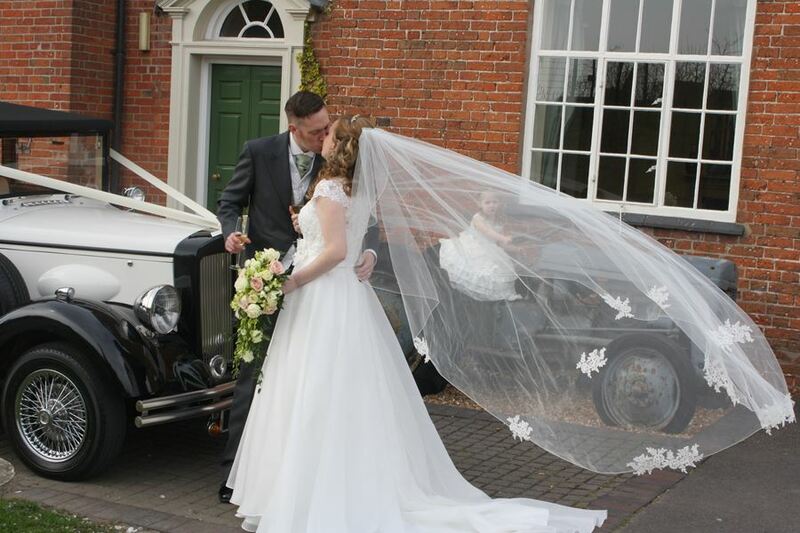 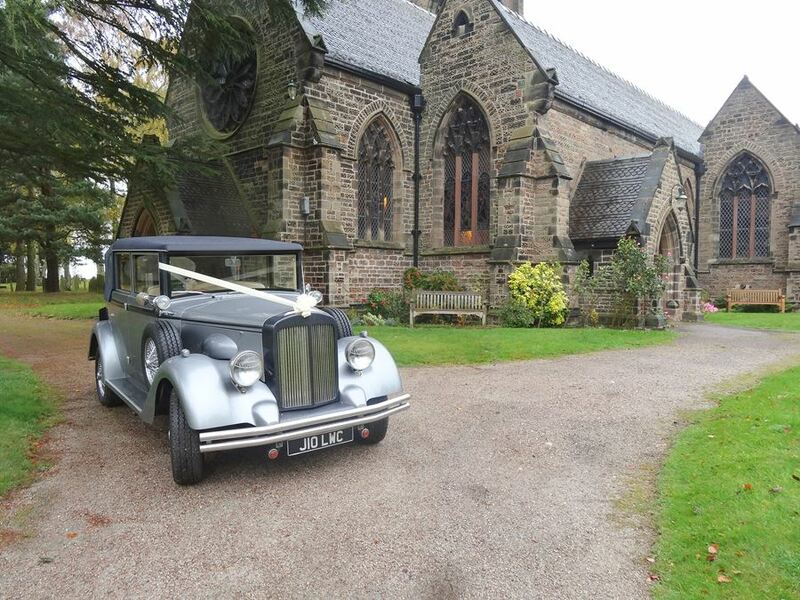 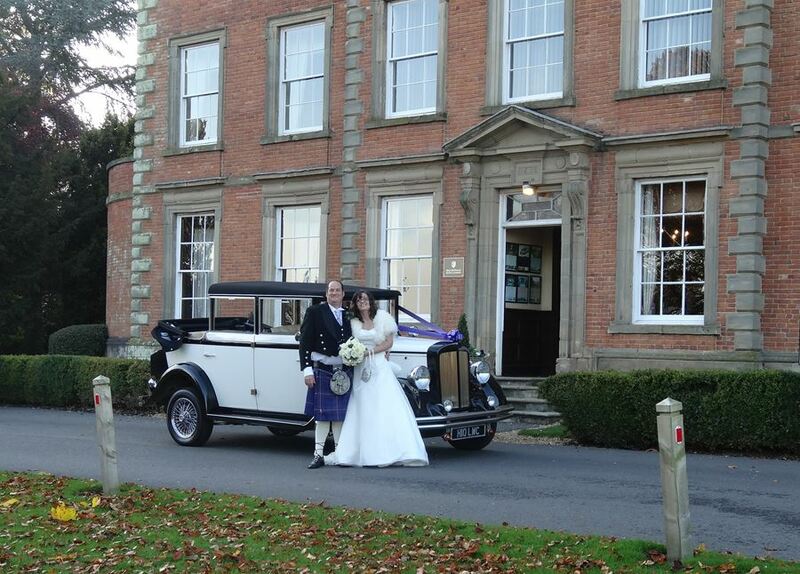 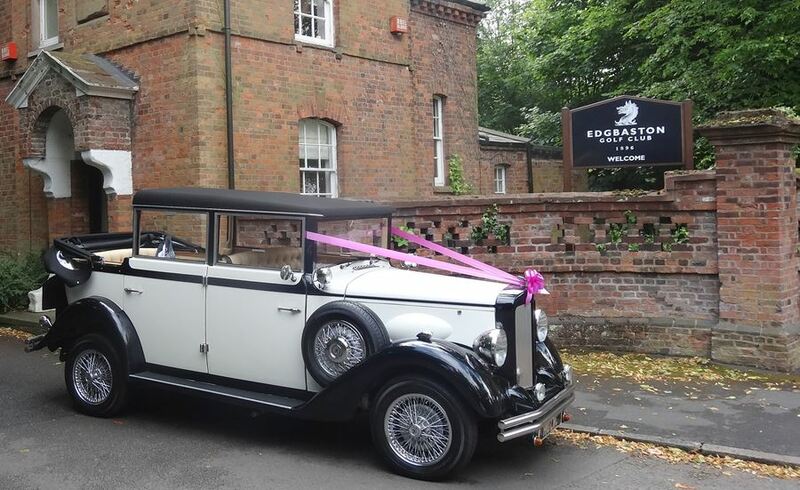 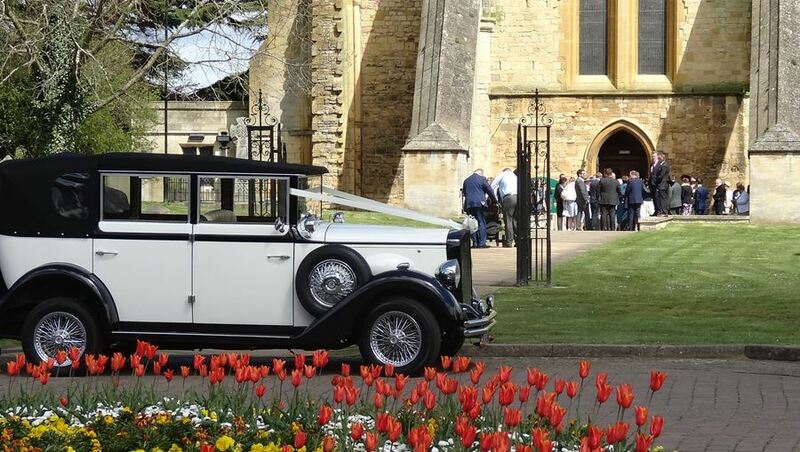 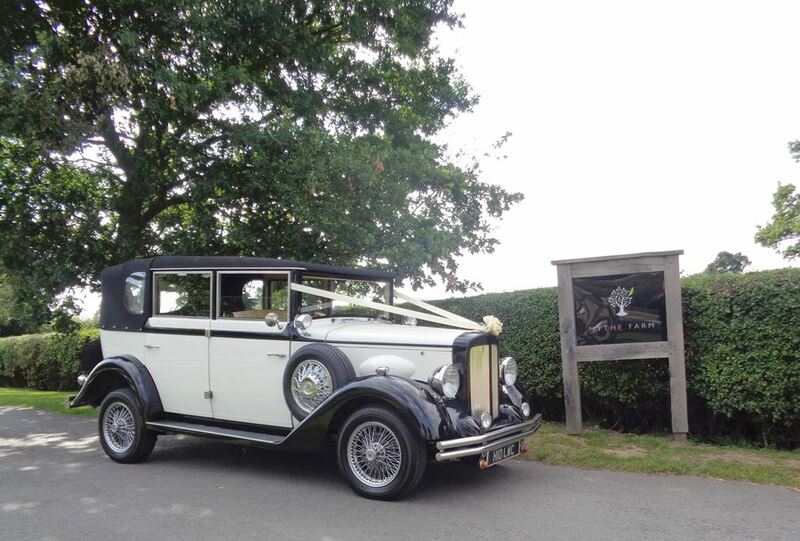 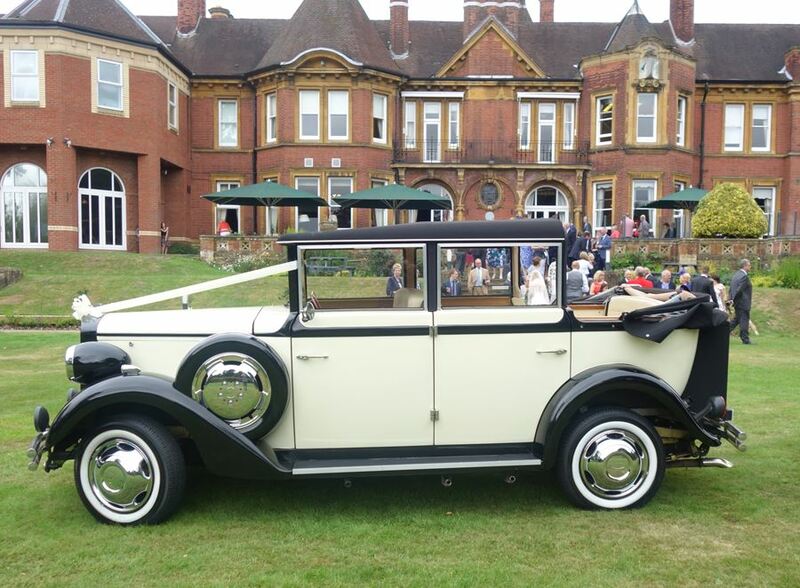 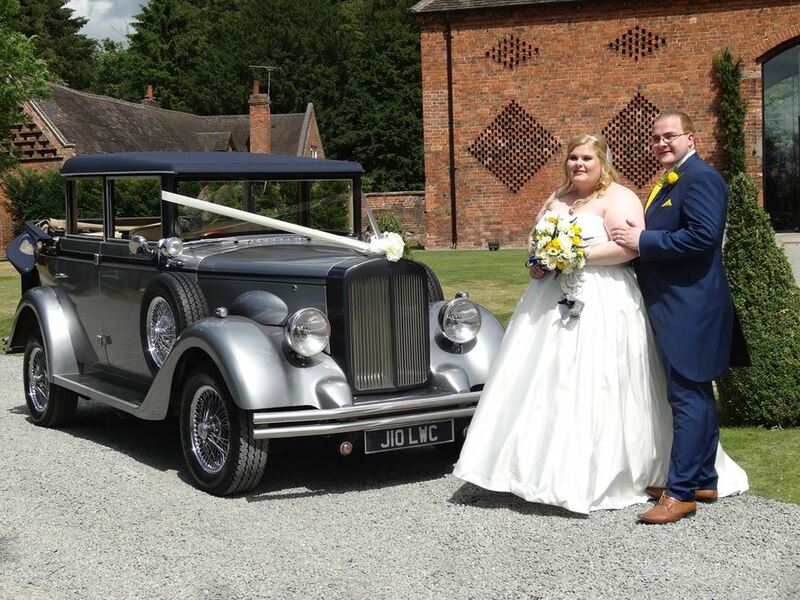 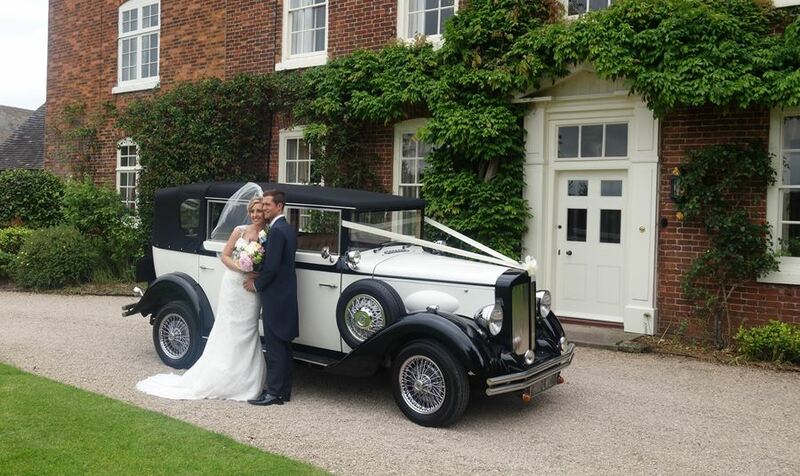 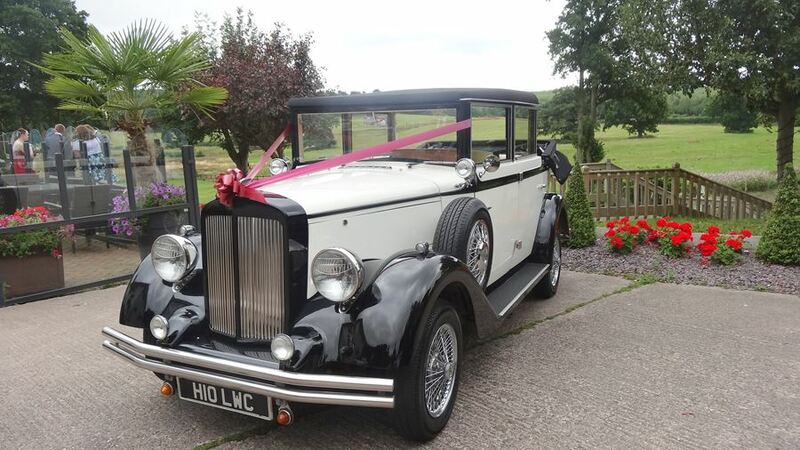 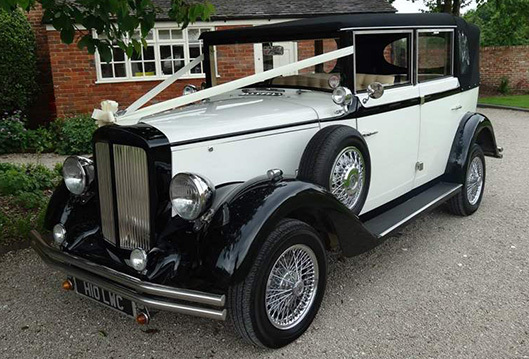 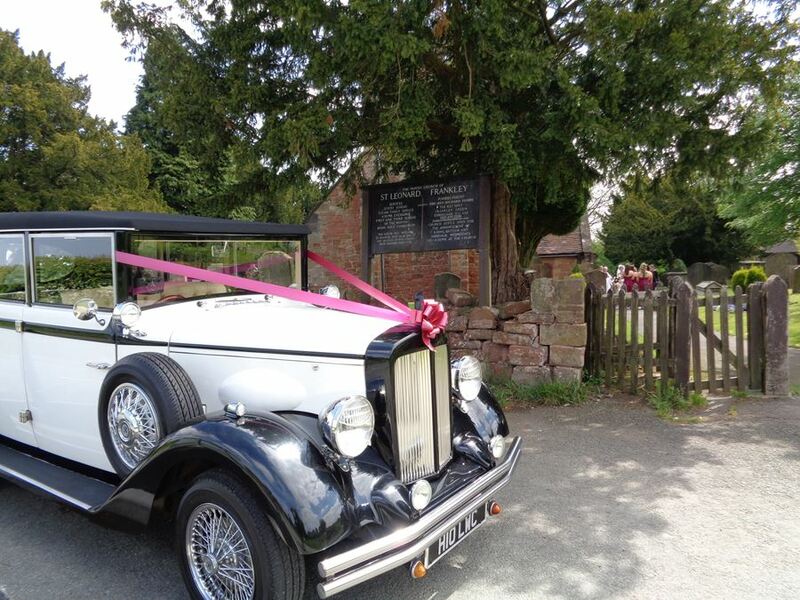 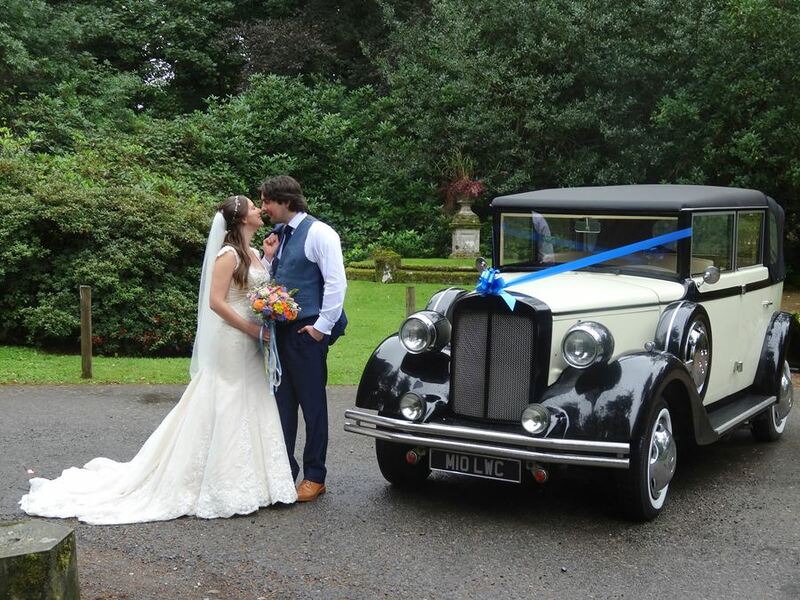 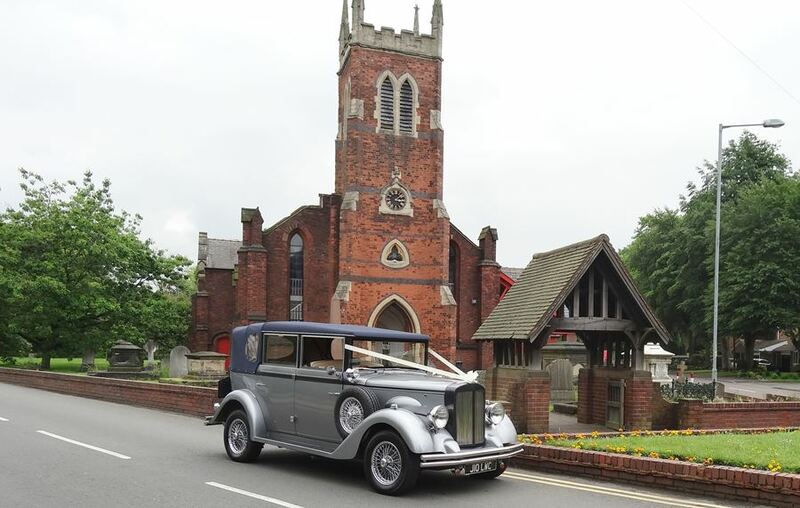 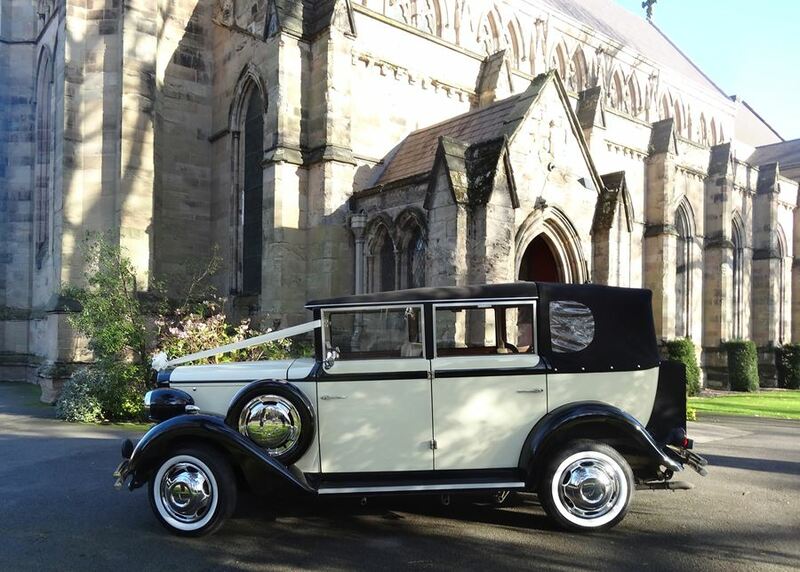 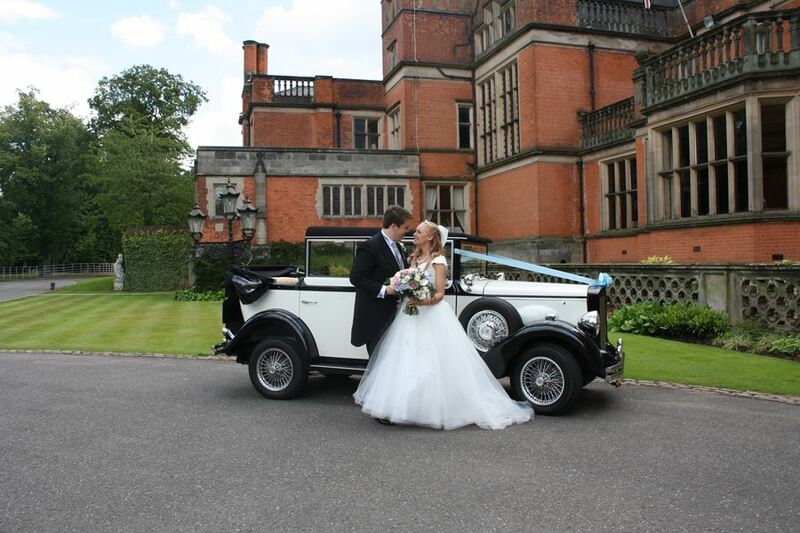 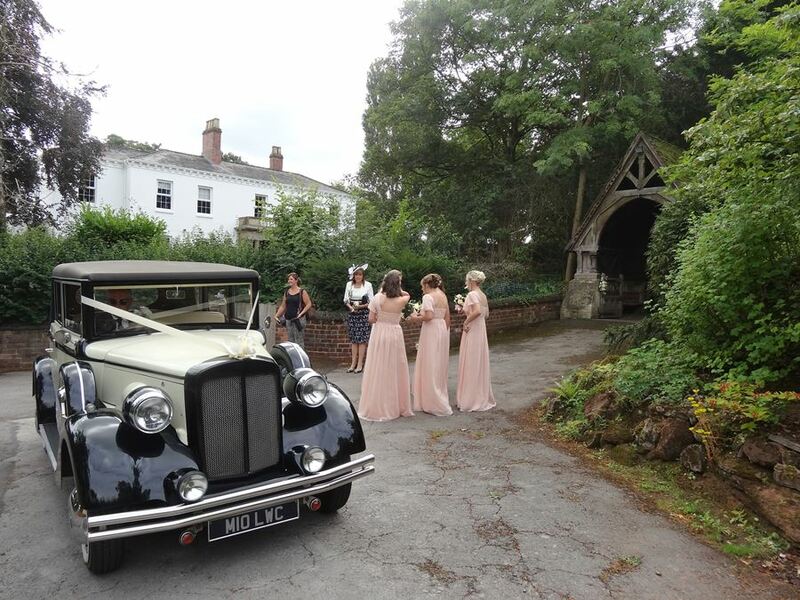 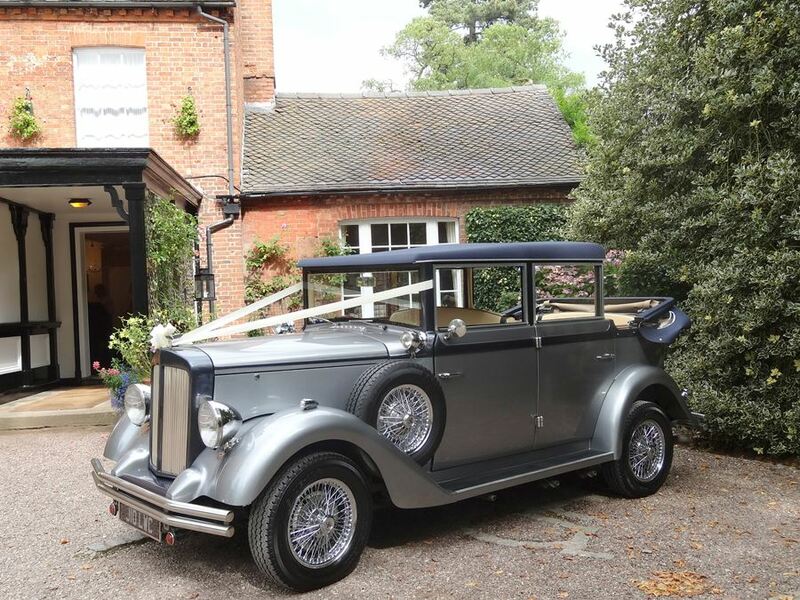 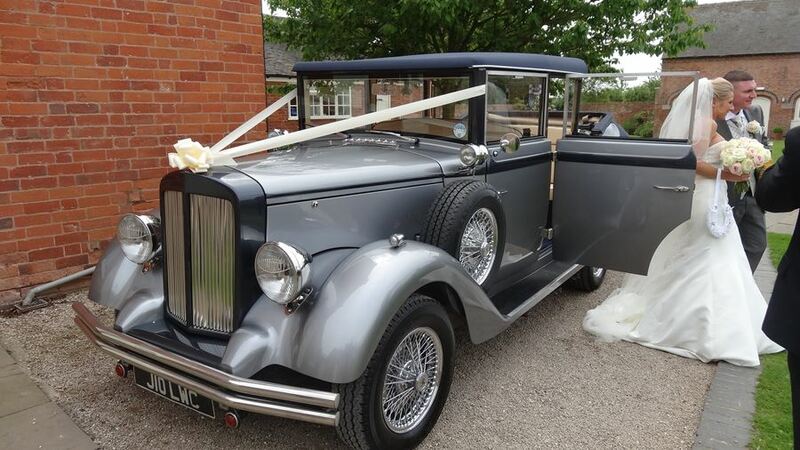 Based on the original wedding colour scheme of black and ivory it’s the perfect car for the traditional wedding. 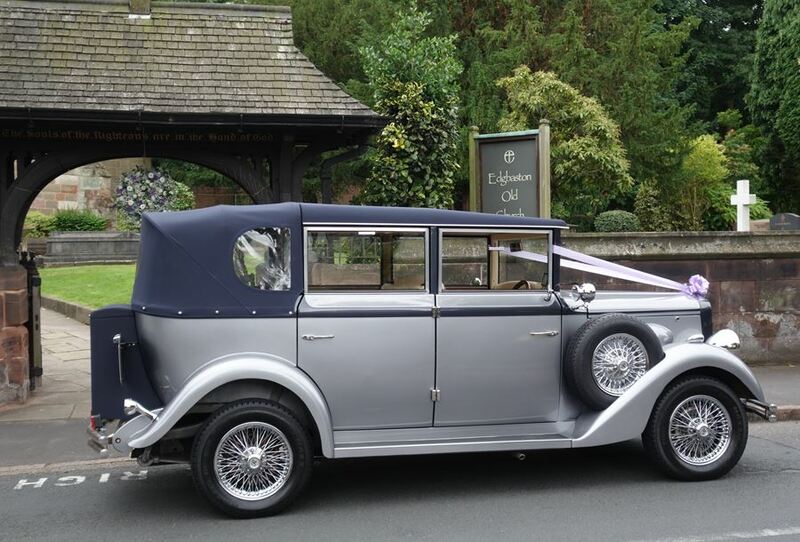 The spacious interior finished in ivory and red gives the car a very luxurious look. 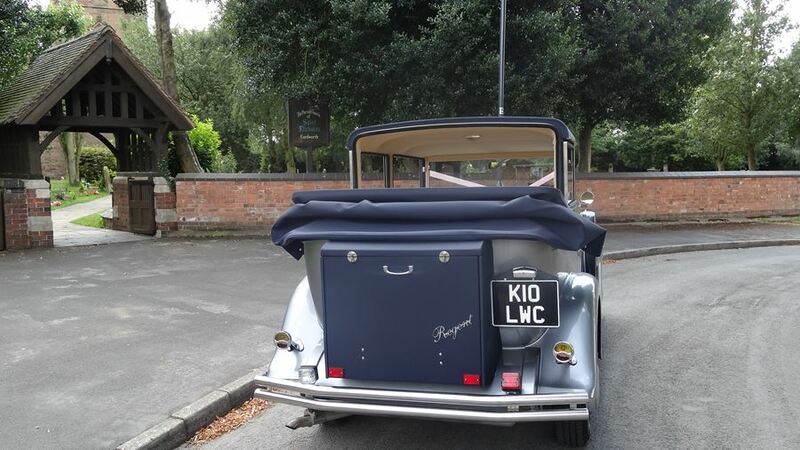 It will seat up to five passengers and has a partially convertible roof. 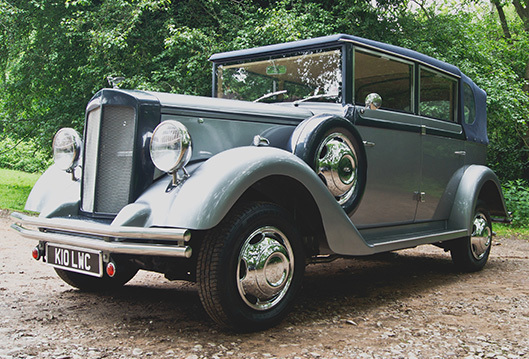 Finished to a high specification with chrome accessories including carriage lamps and wired wheels, our silver and tungsten Regent is a fine example of the 1920′s Landaulet. 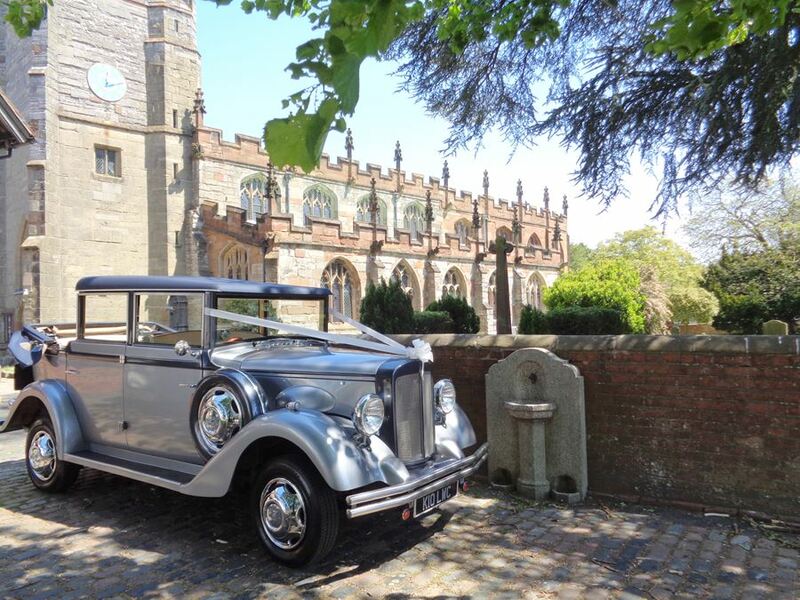 This classical car seats up to five passengers and has a partially convertible roof for the most stunning of photo opportunities. 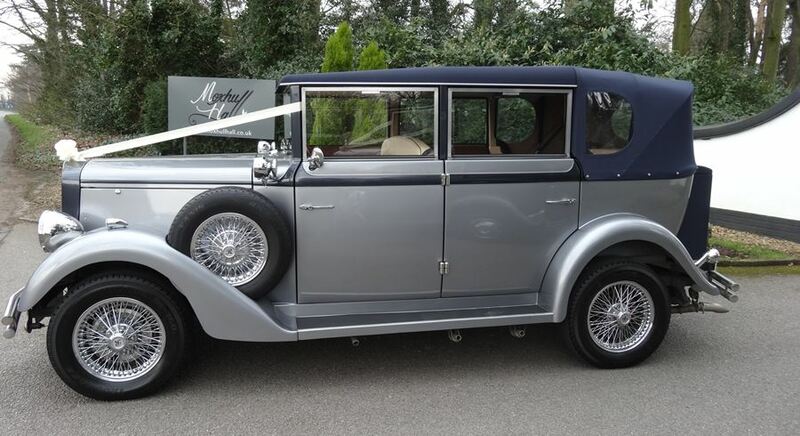 Our silver and tungsten Regent captures the classic elegant look of the 1920′s Landaulet. 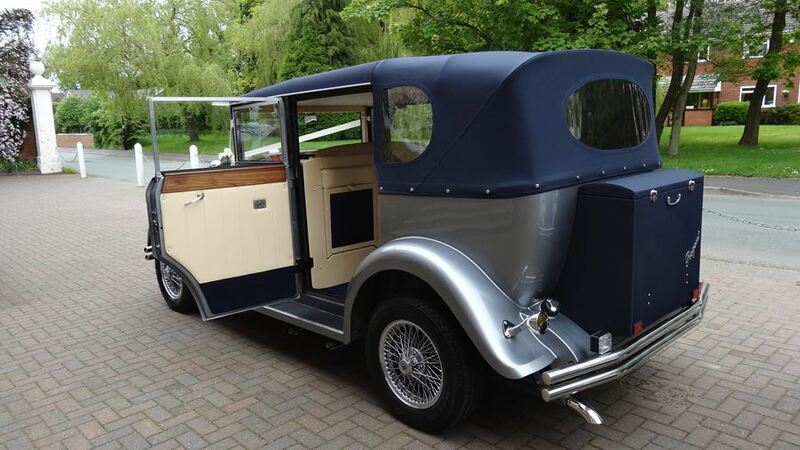 The car will seat up to five passengers with the interior finished in ivory and blue. 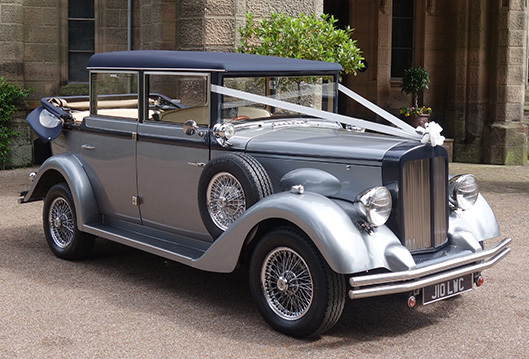 It has the advantage of a partially convertible roof, so perfect for both video and photo opportunities throughout the wedding day. 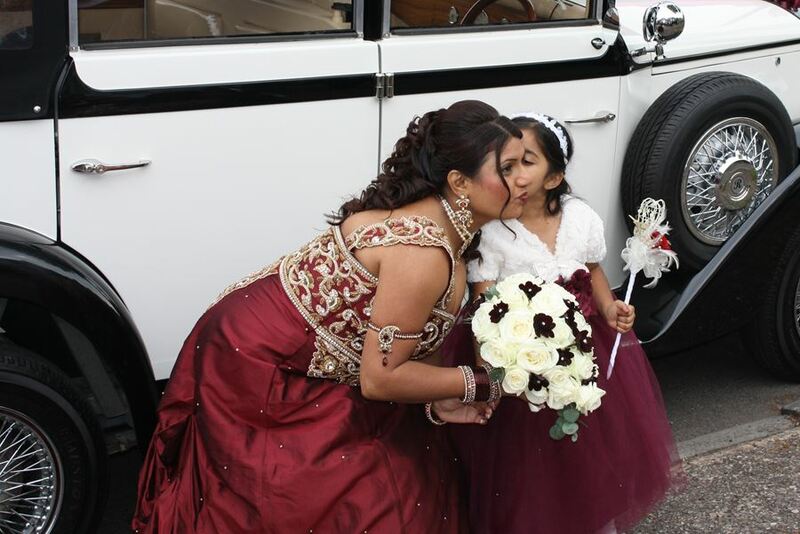 We hope you have been inspired by our expansive gallery of photographs. 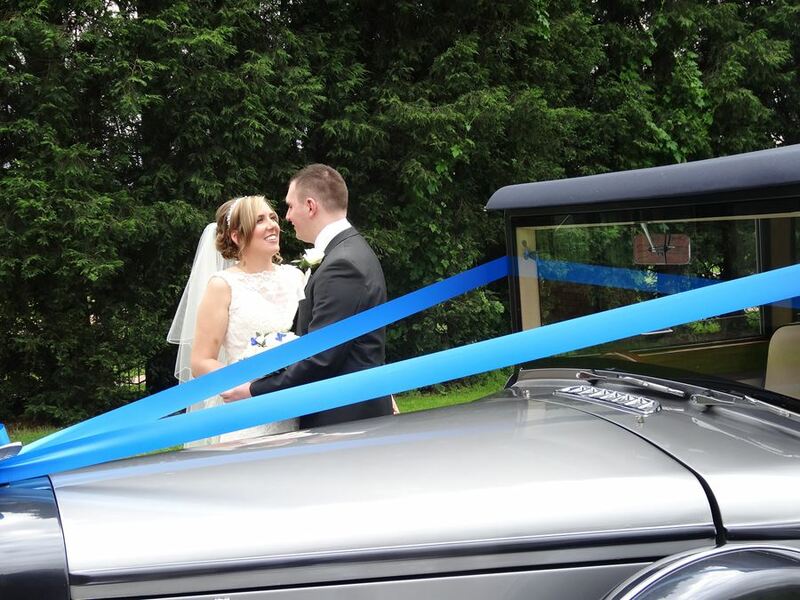 All cars are decorated in ribbons and bows to complement your colour scheme. 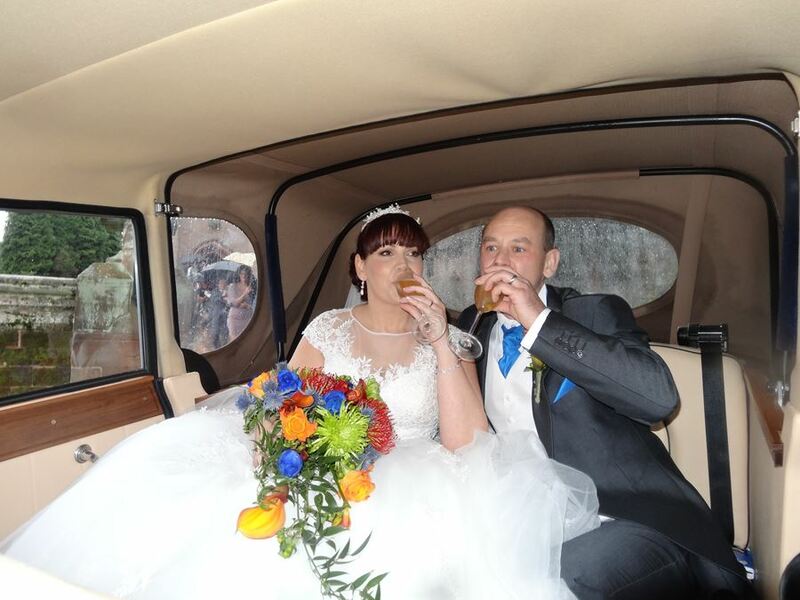 We offer all our couples complimentary champagne as well as some little added extras such as water, tissues, mints and white umbrellas.